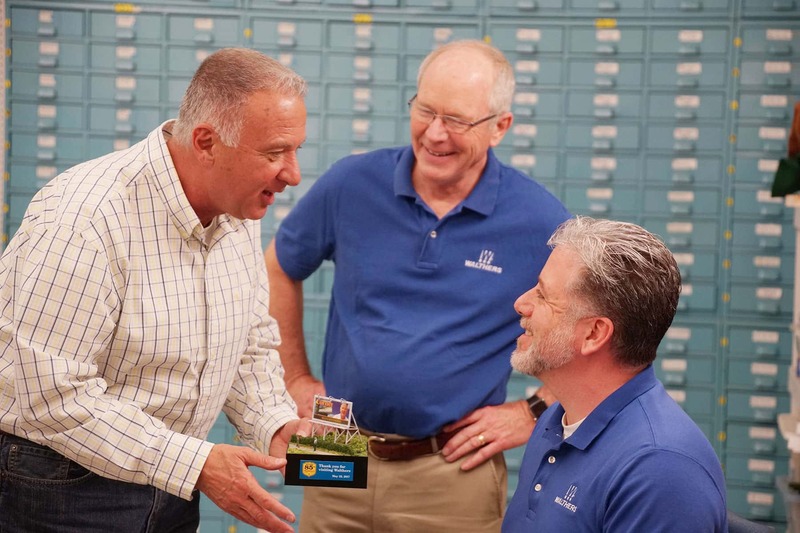 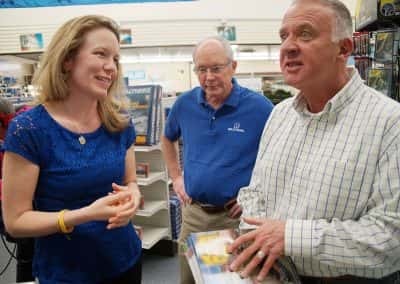 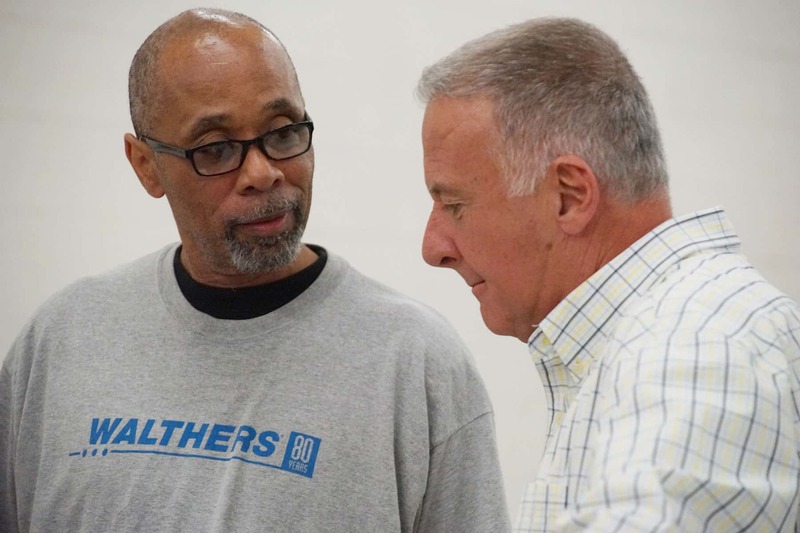 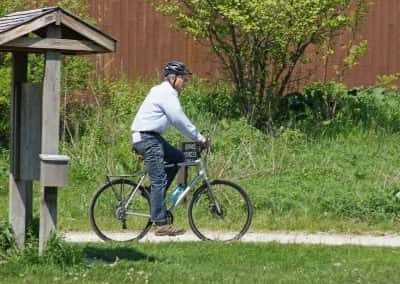 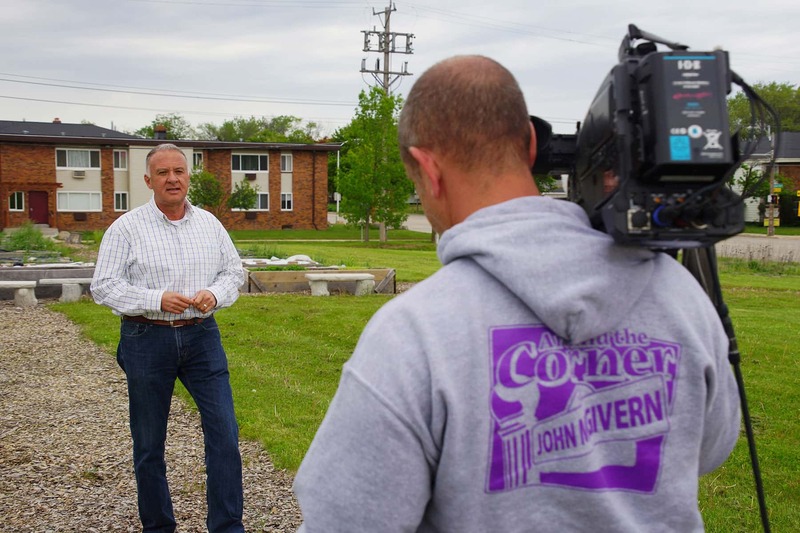 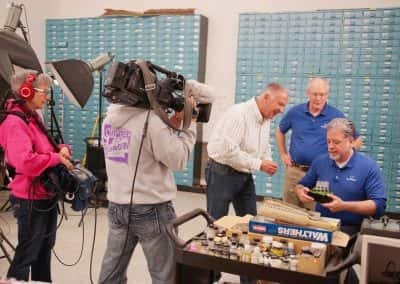 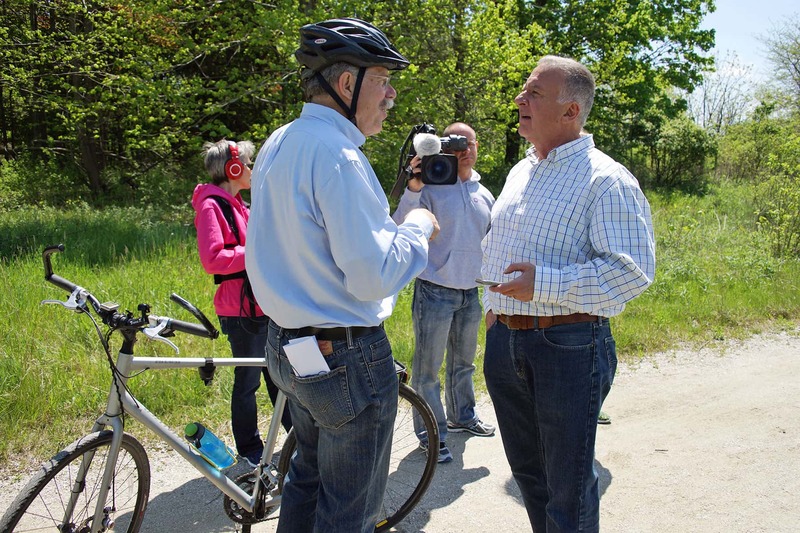 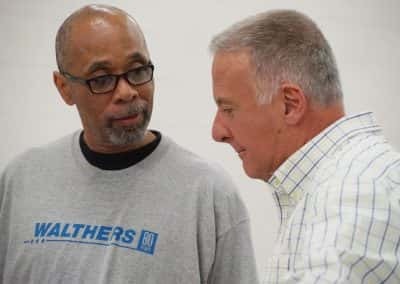 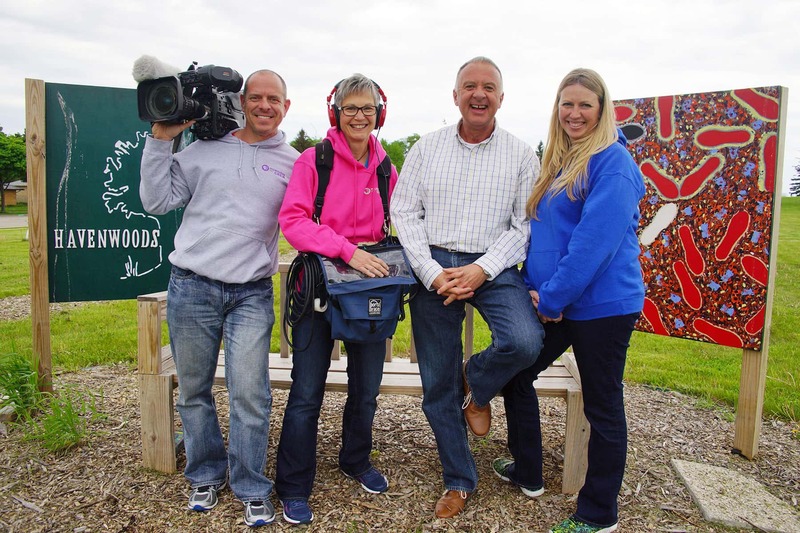 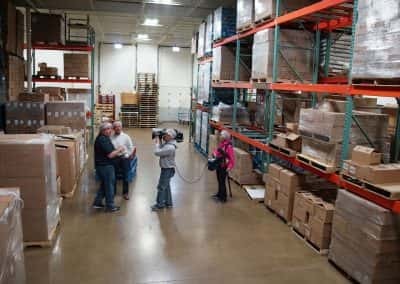 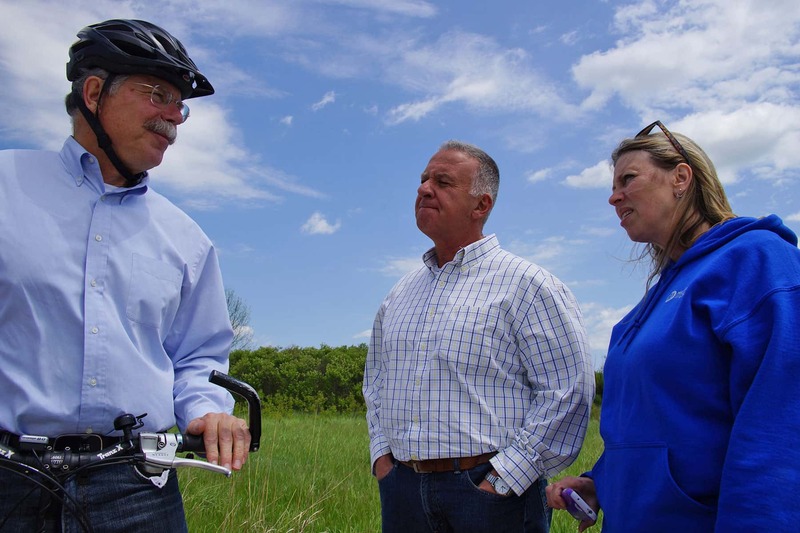 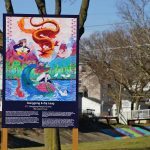 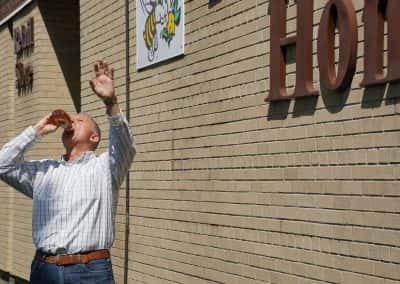 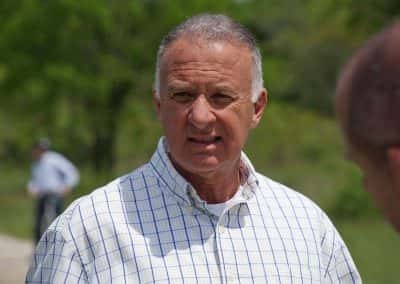 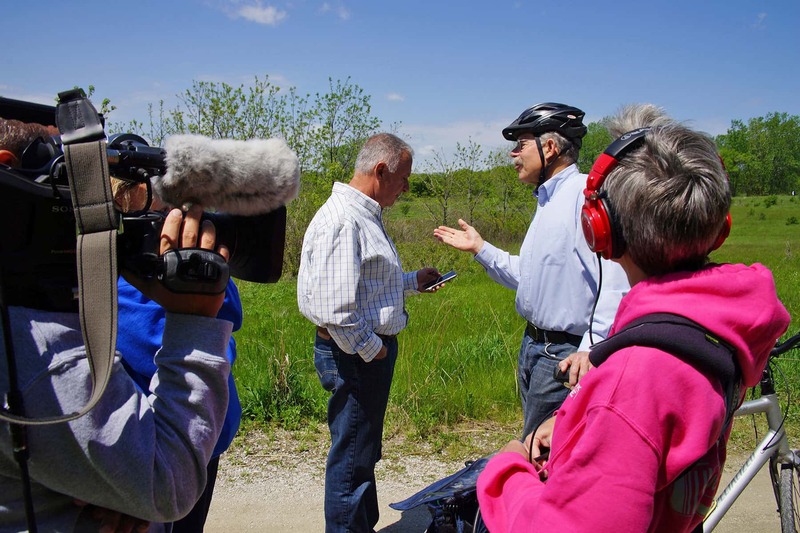 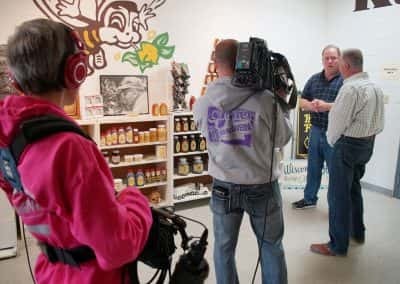 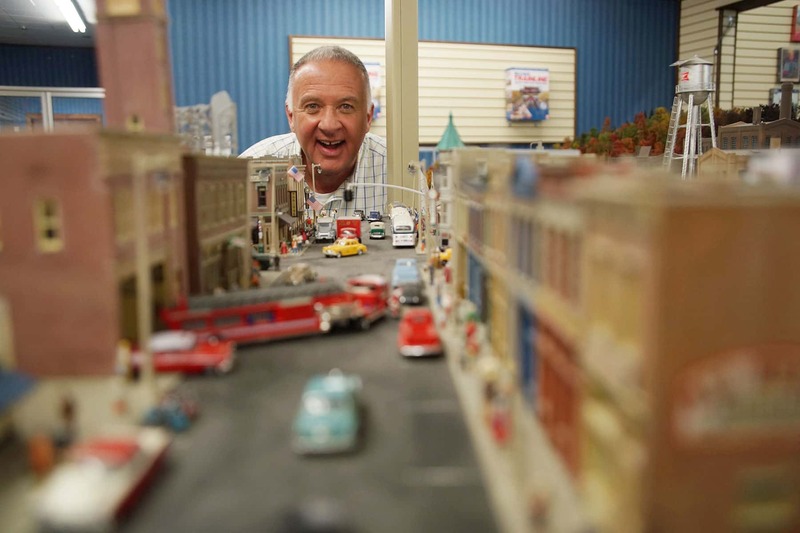 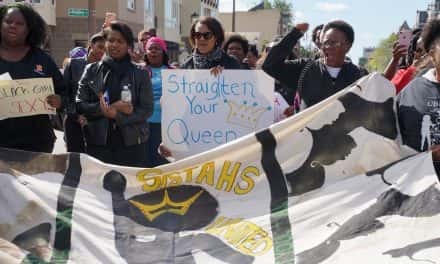 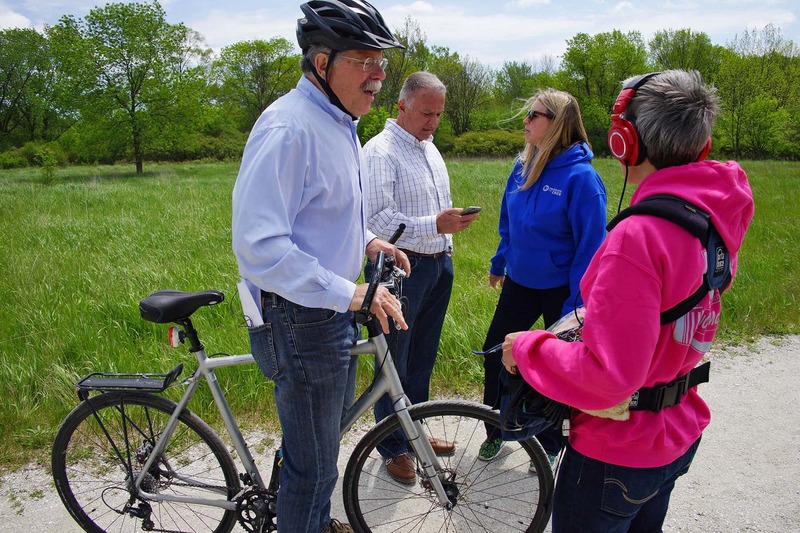 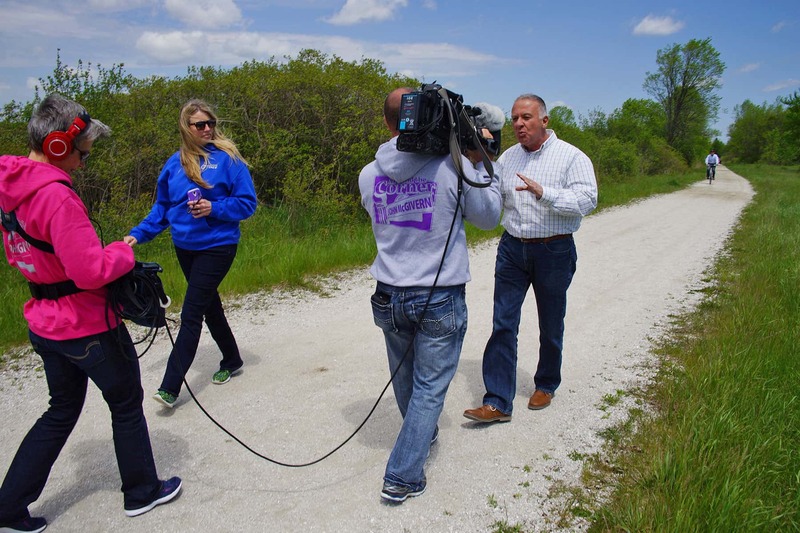 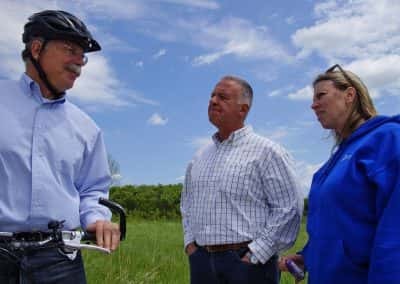 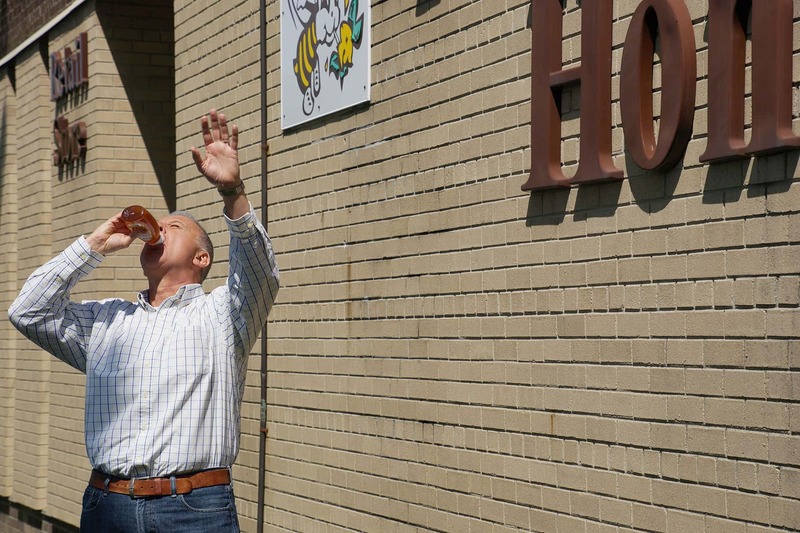 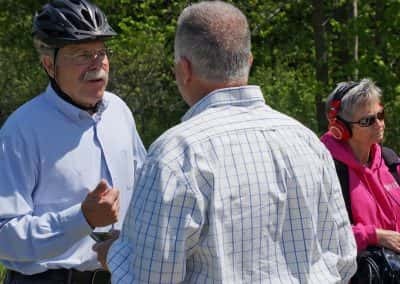 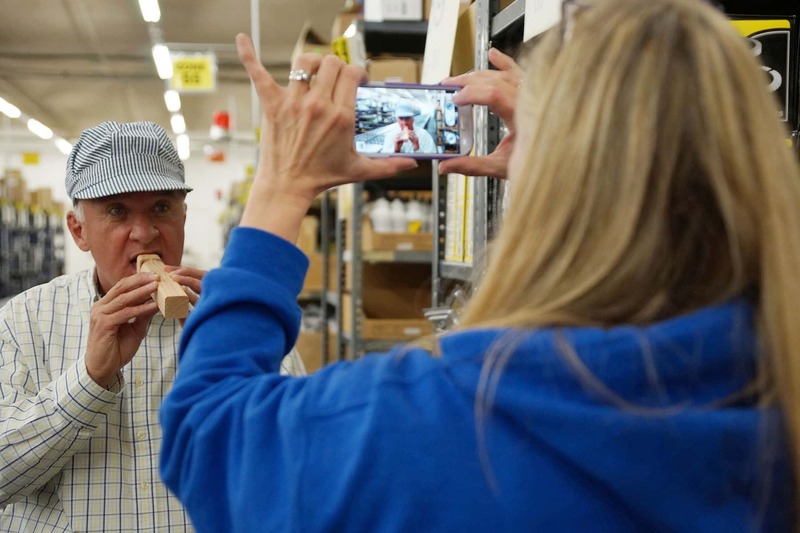 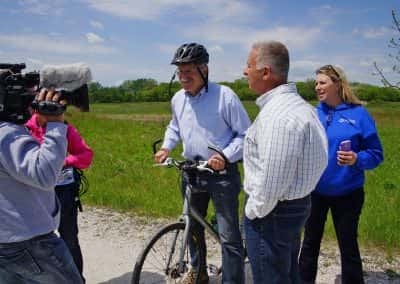 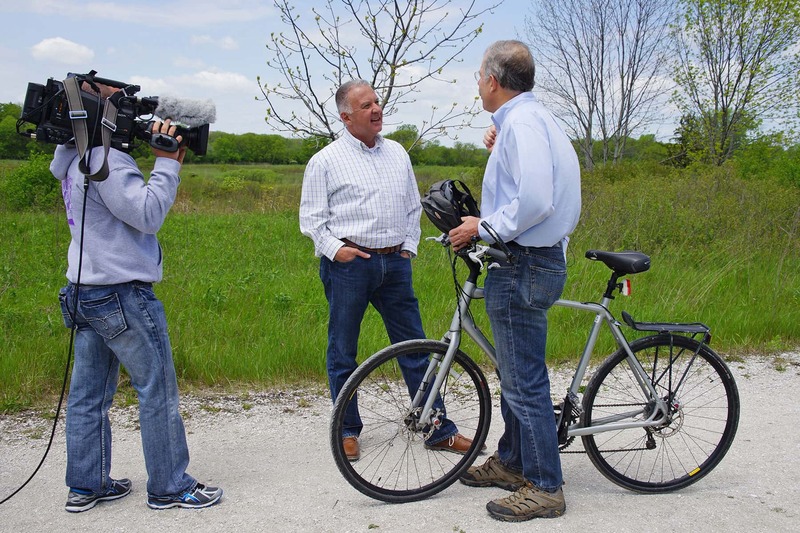 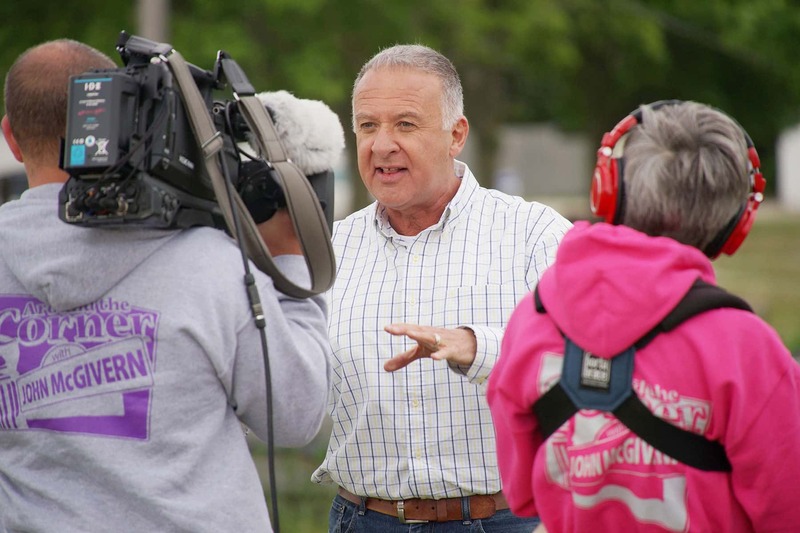 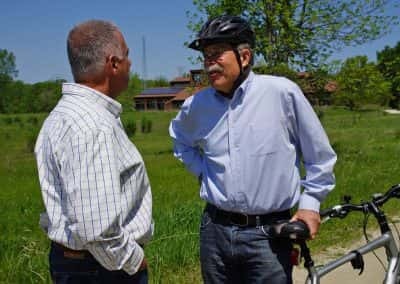 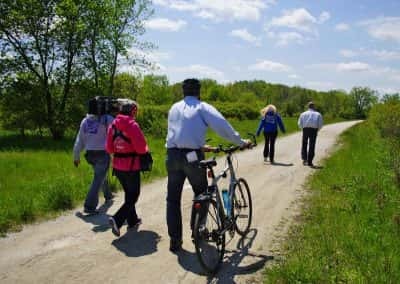 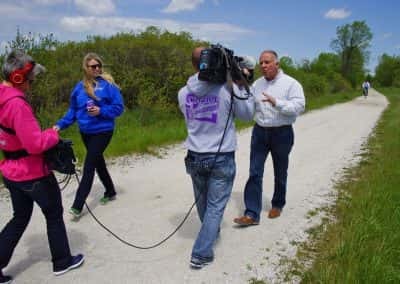 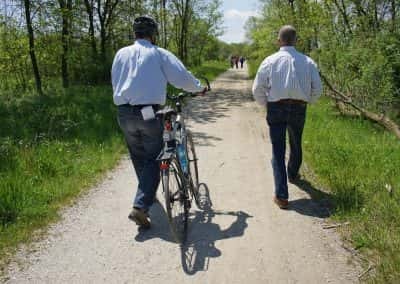 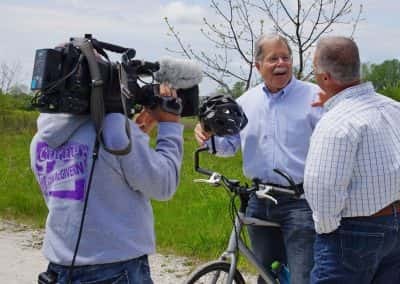 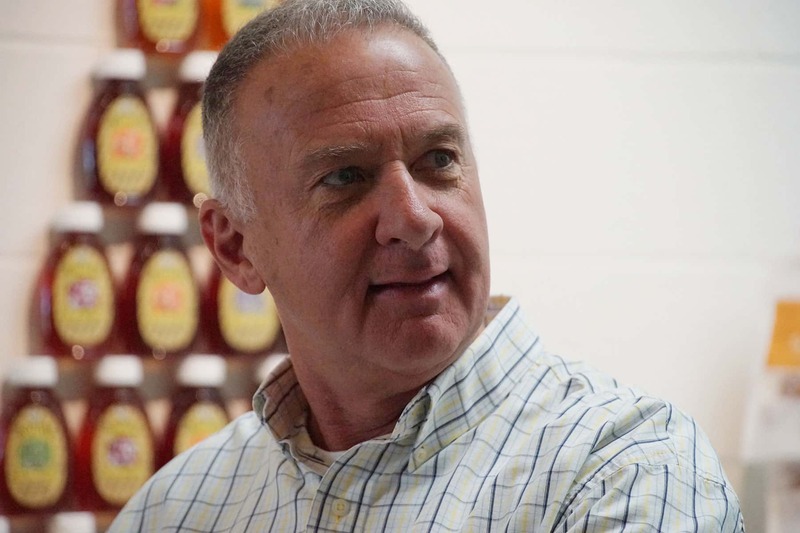 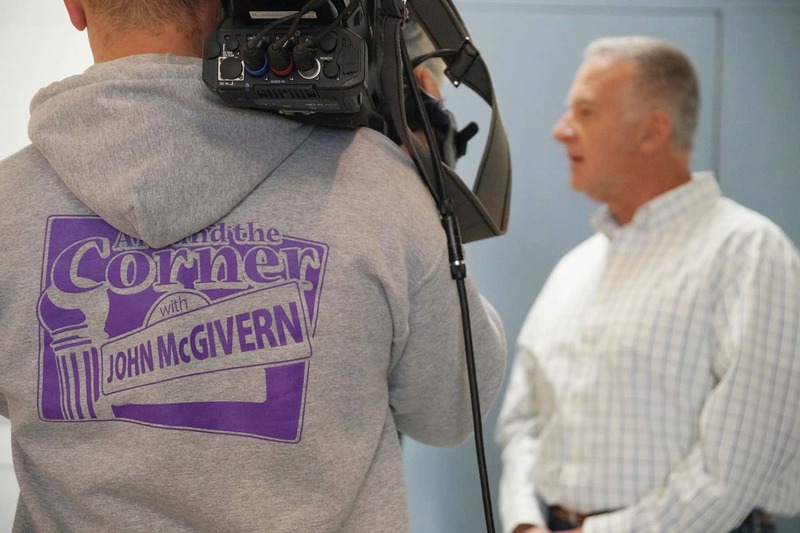 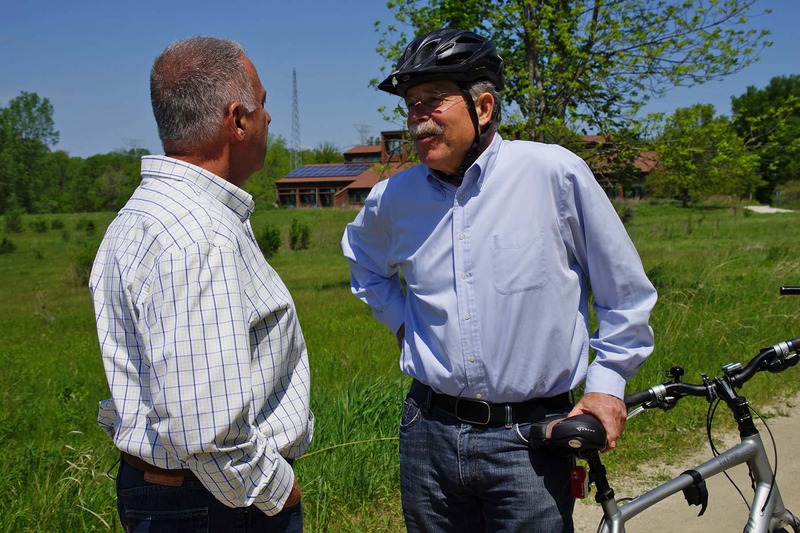 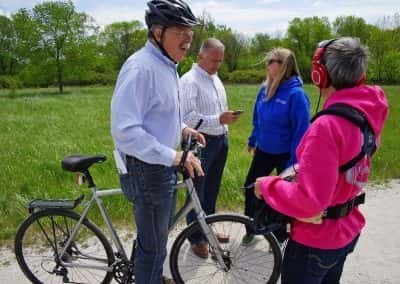 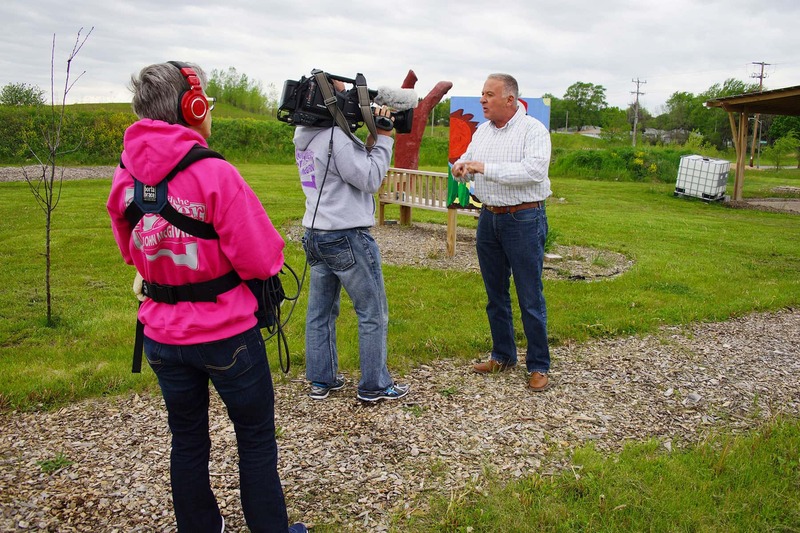 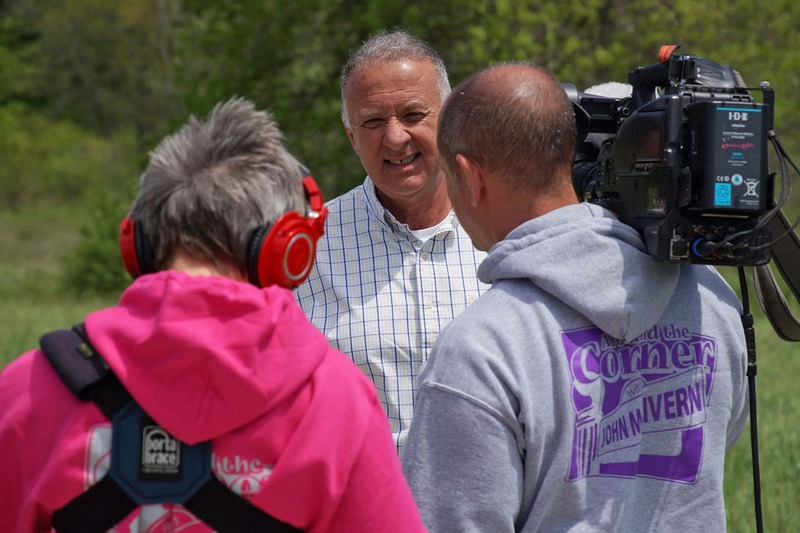 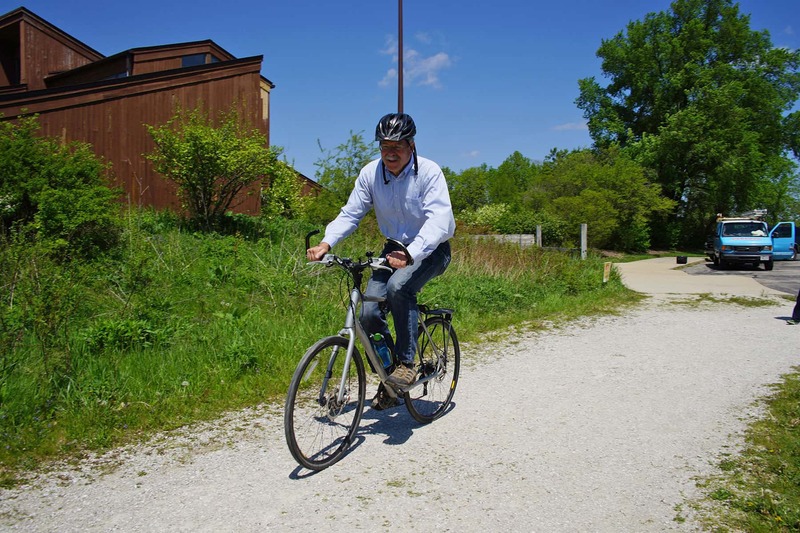 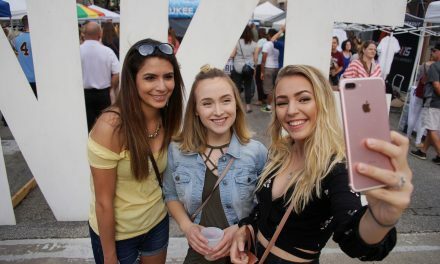 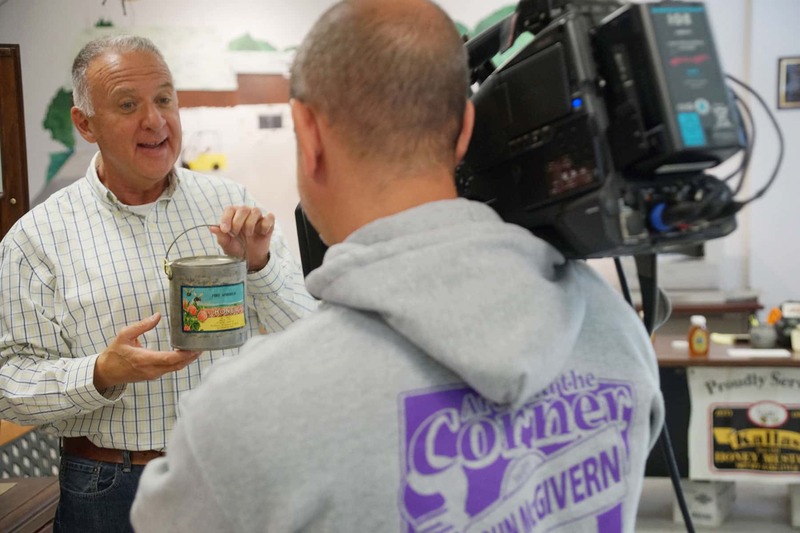 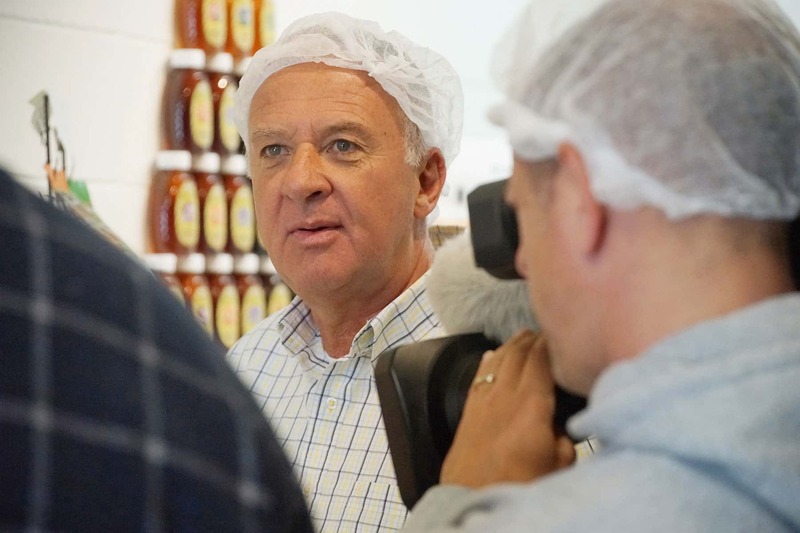 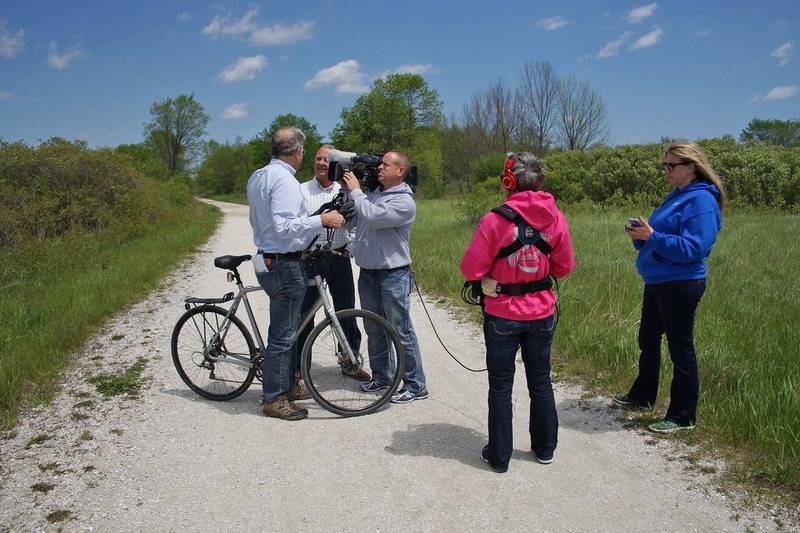 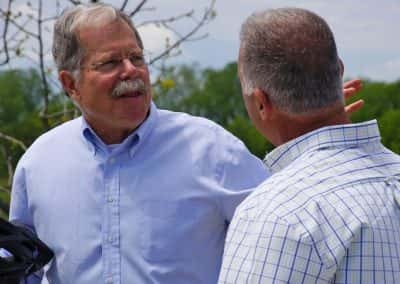 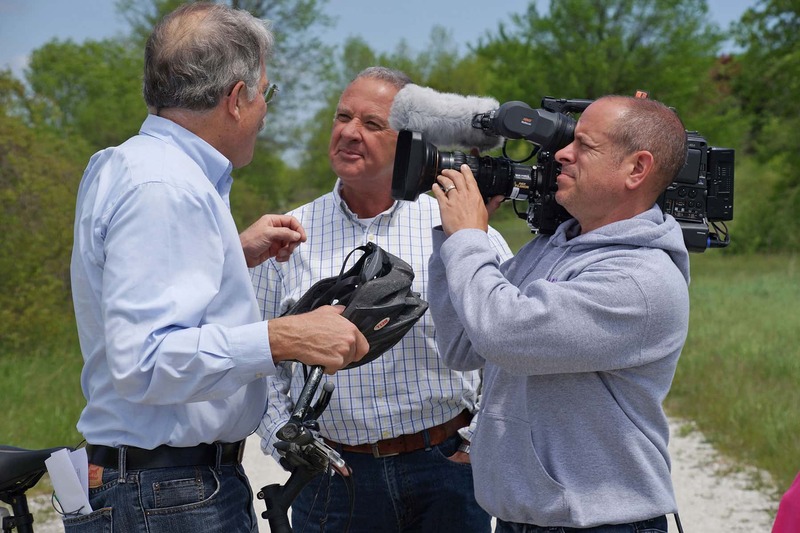 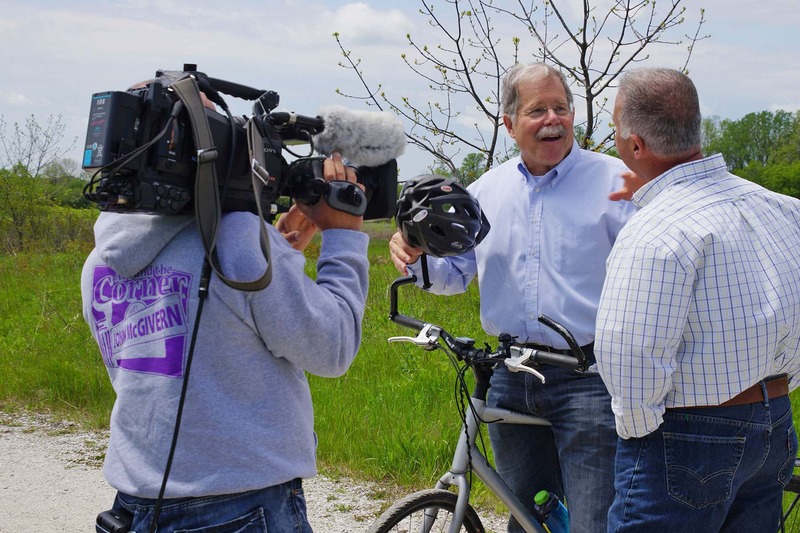 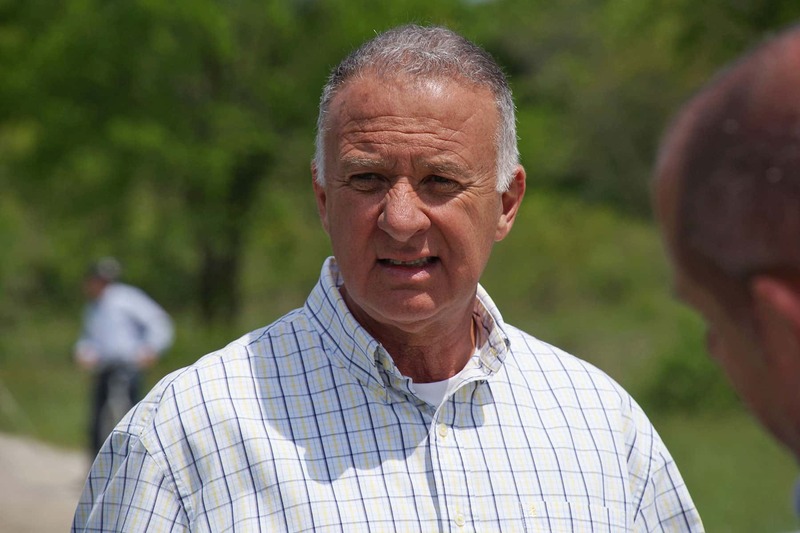 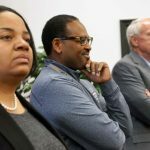 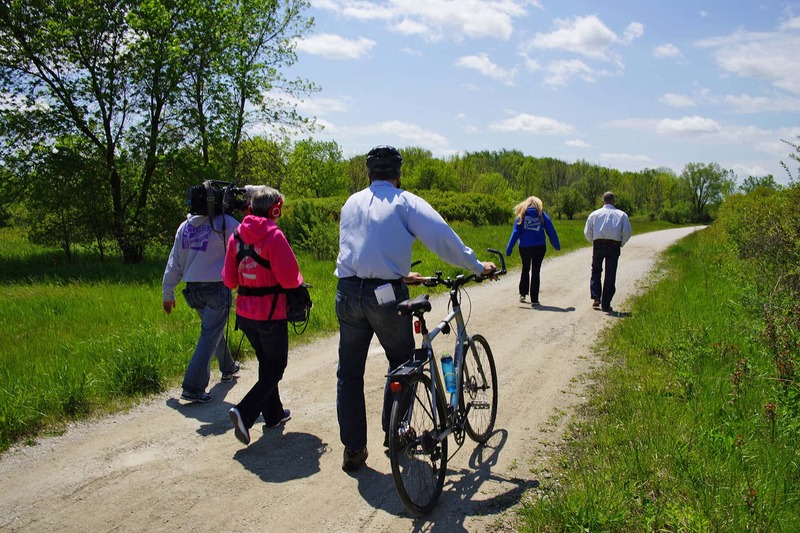 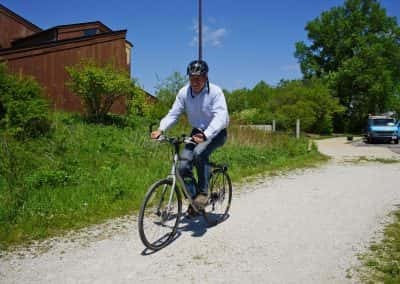 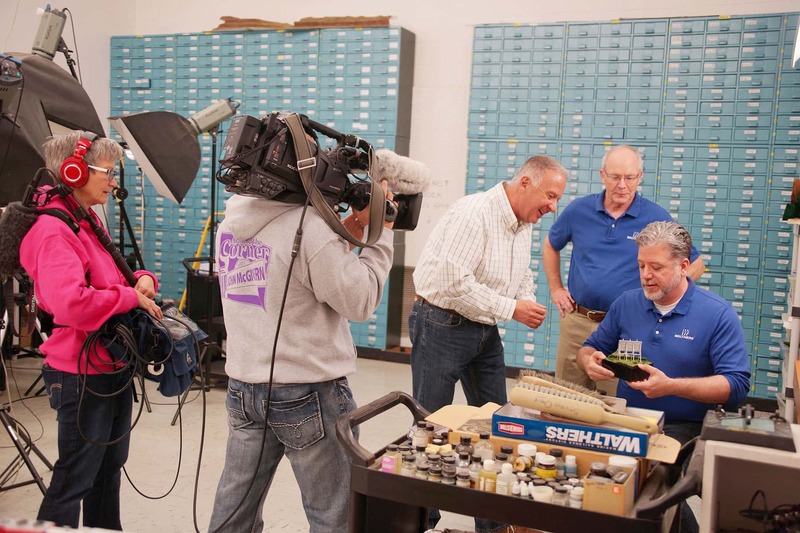 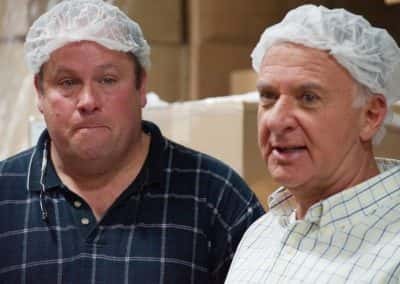 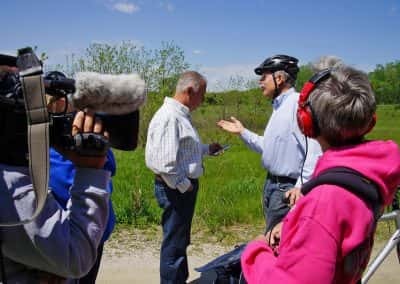 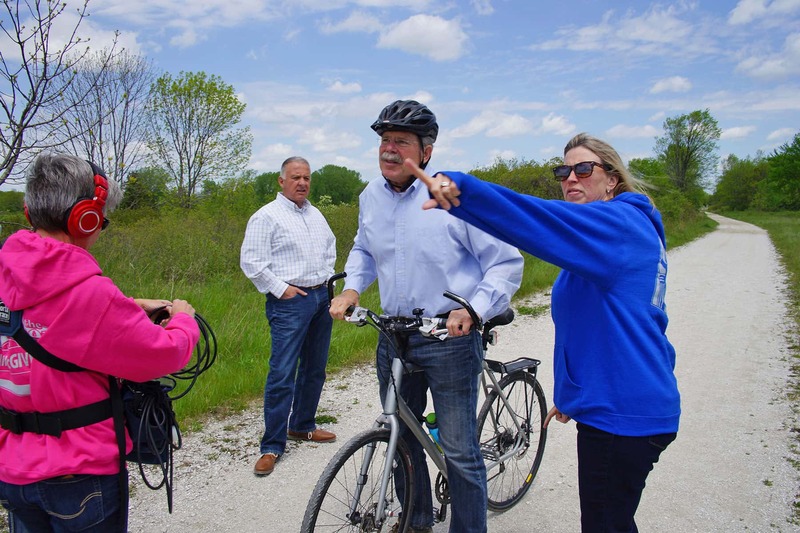 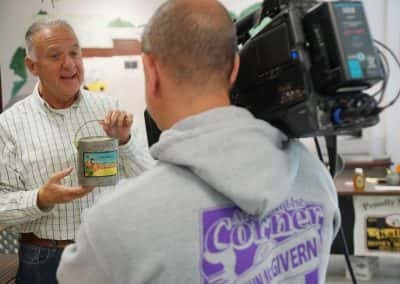 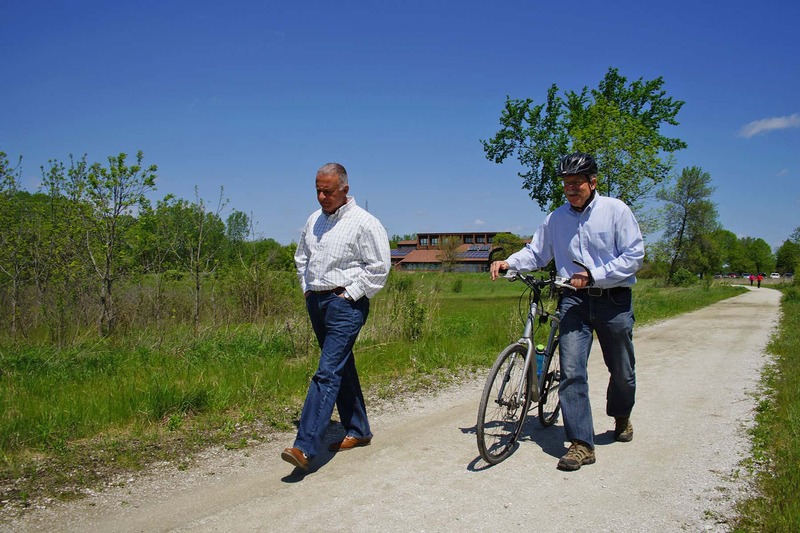 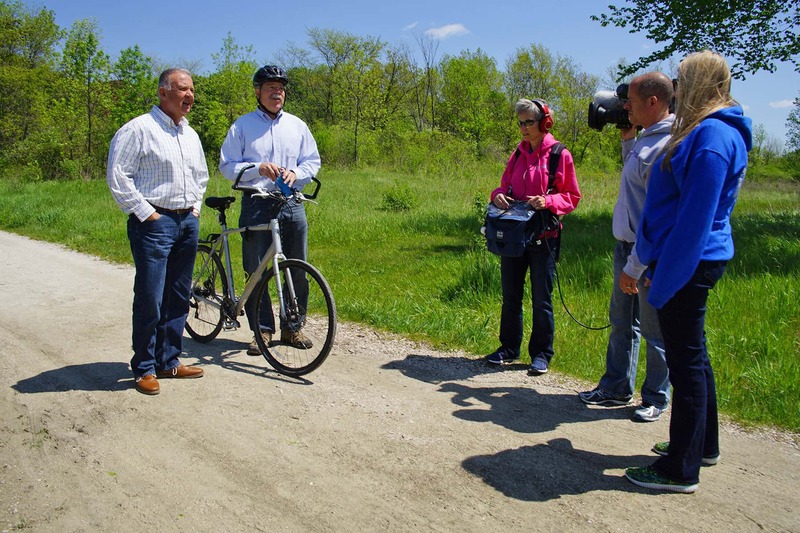 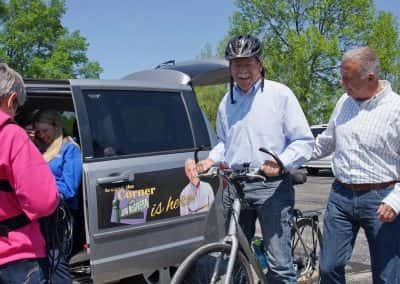 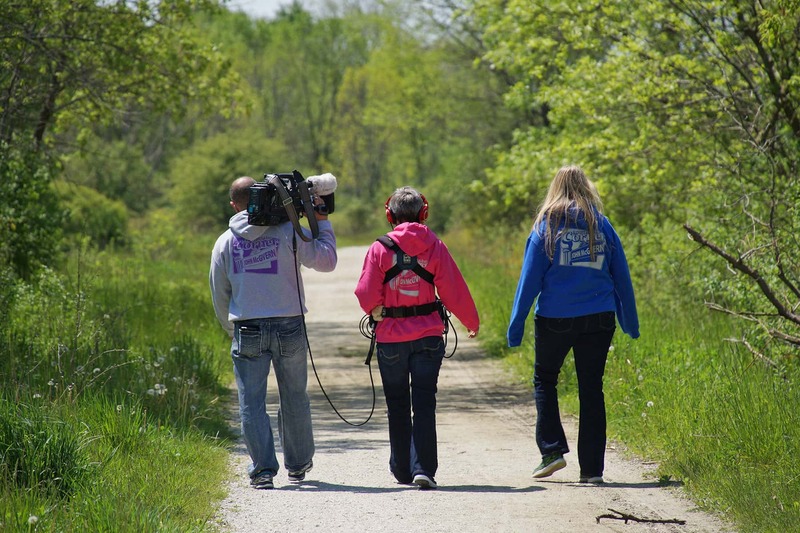 The Milwaukee Independent spent a full day on locations with the crew of “Around the Corner with John McGivern,” while filming a season seven episode featuring the community of Havenwoods. 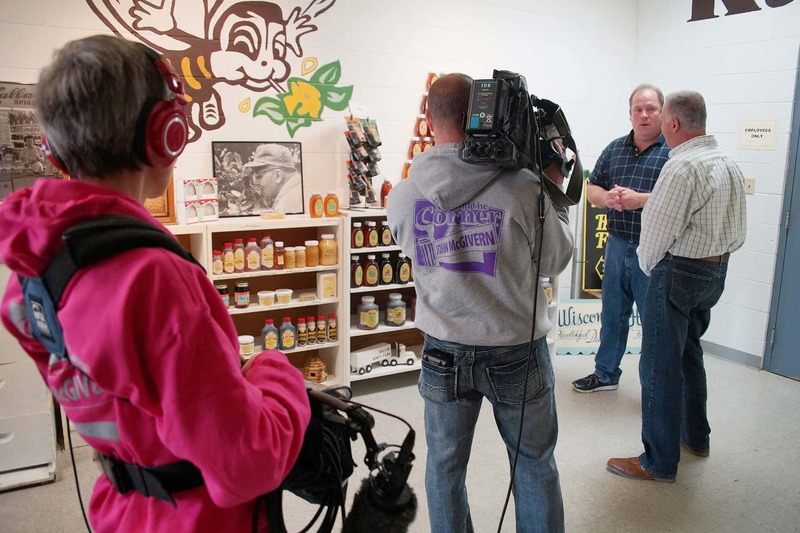 McGivern and crew visited businesses and interviewed community members that were part of the area’s social fabric. 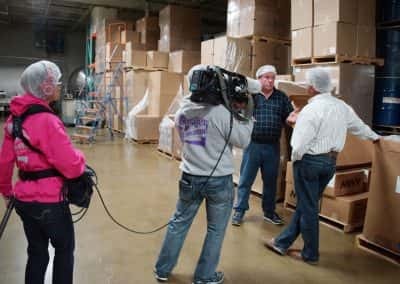 This photo essay features moments from the production process, offering a rare behind-the-scenes look at what it takes to make an award winning television program. 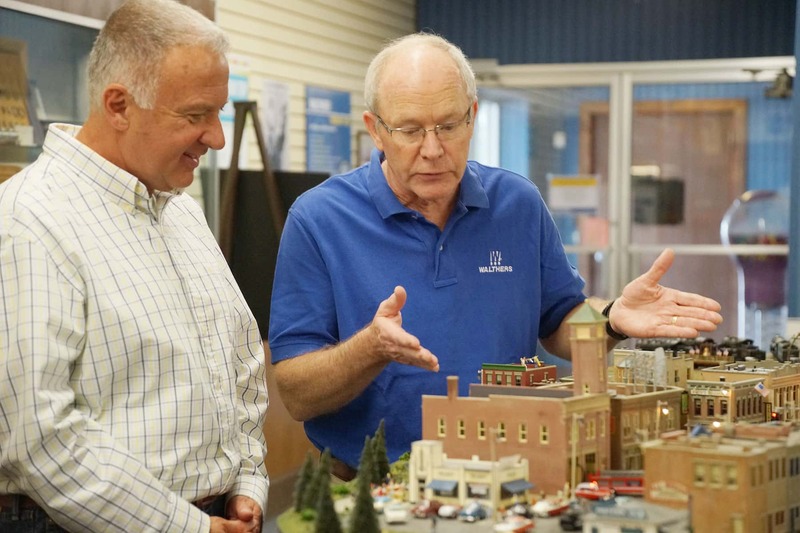 The family business is in its third generation. 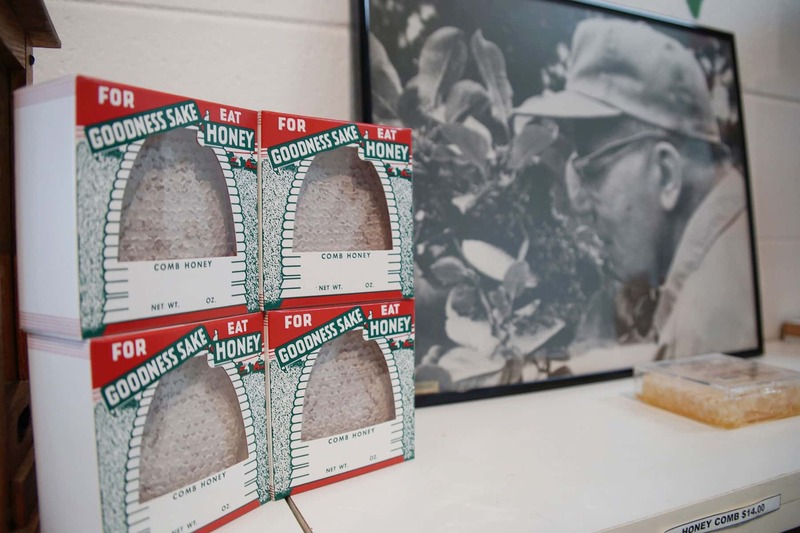 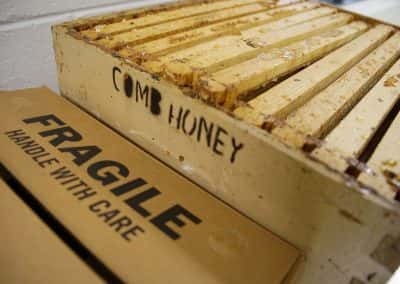 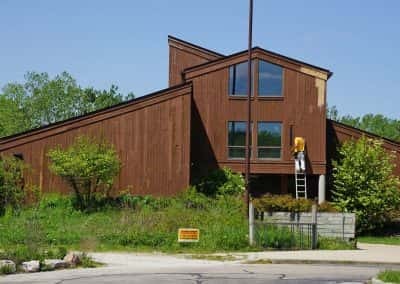 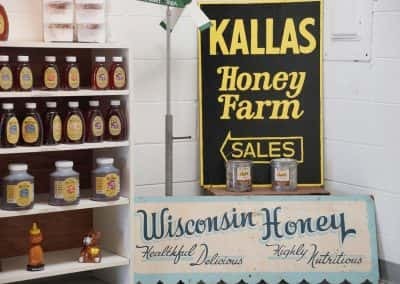 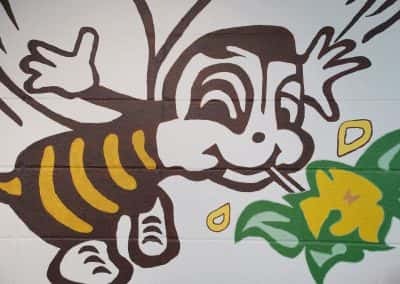 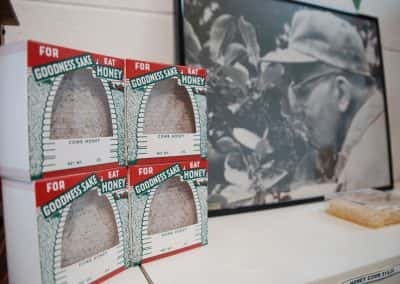 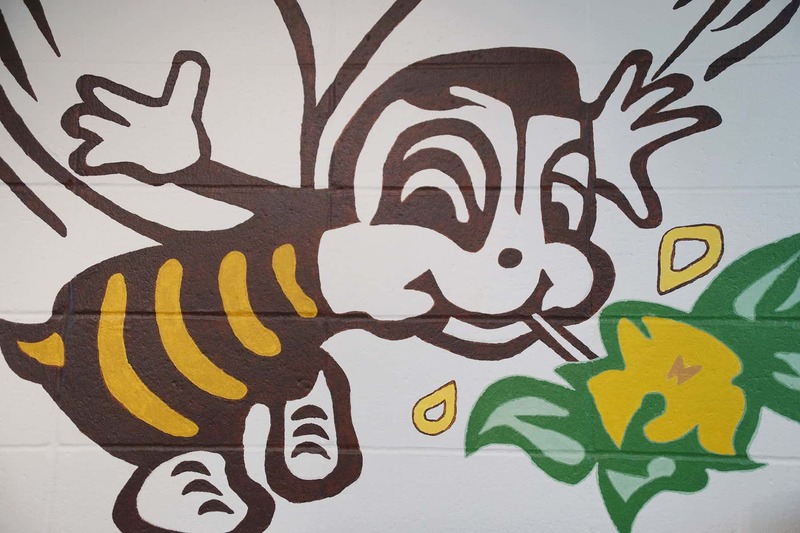 Originally started in 1941 by John Kallas, who developed an interest with bee keeping while helping a neighbor in Fox Point tend to a hobby hive. 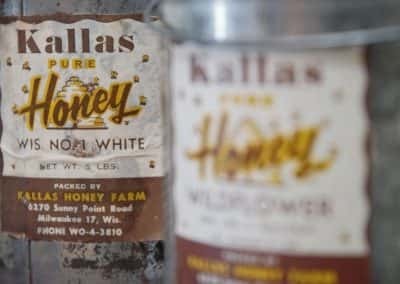 As payment for his efforts, the neighbor gave Kallas a bee hive. 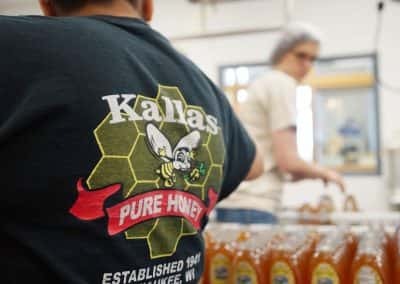 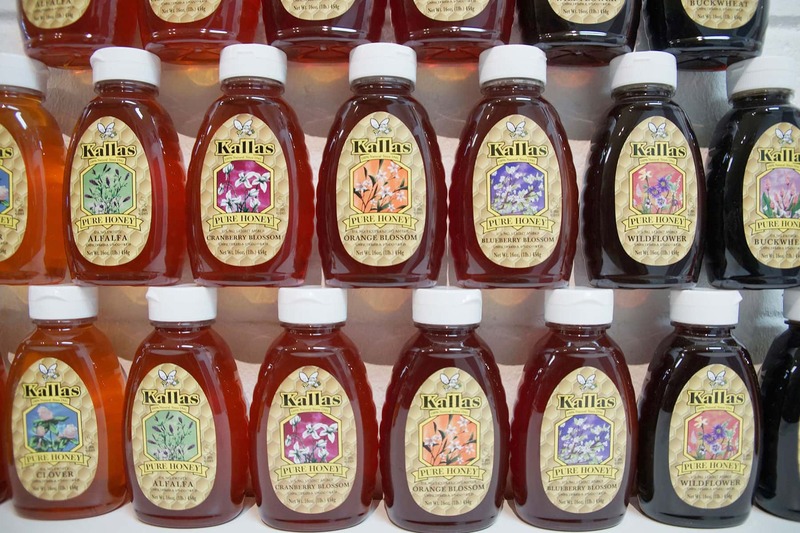 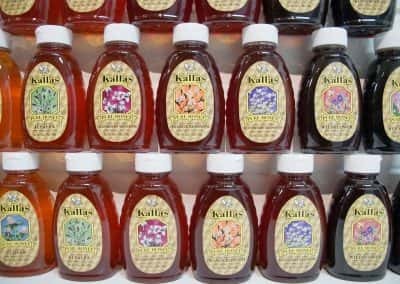 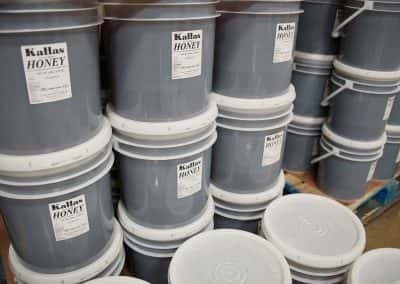 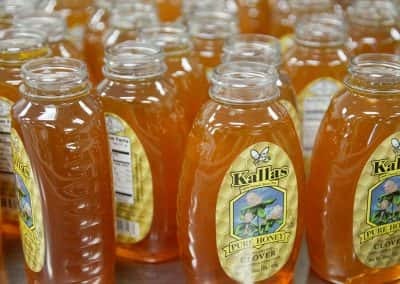 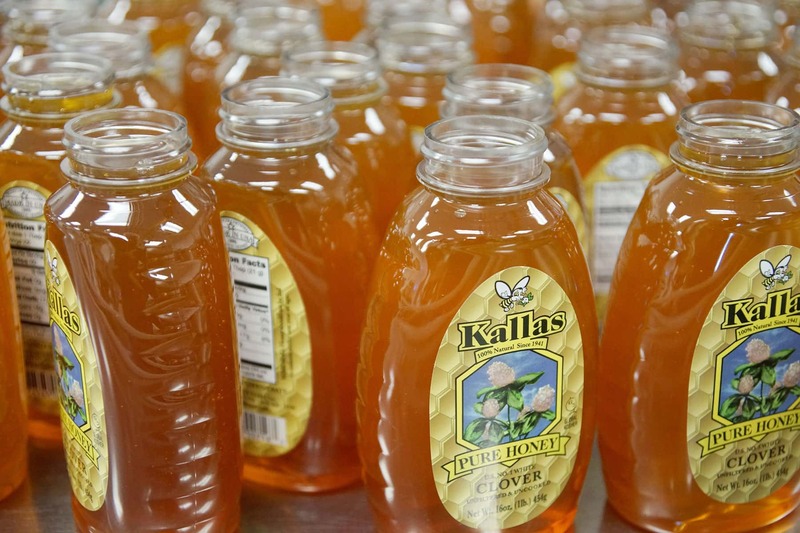 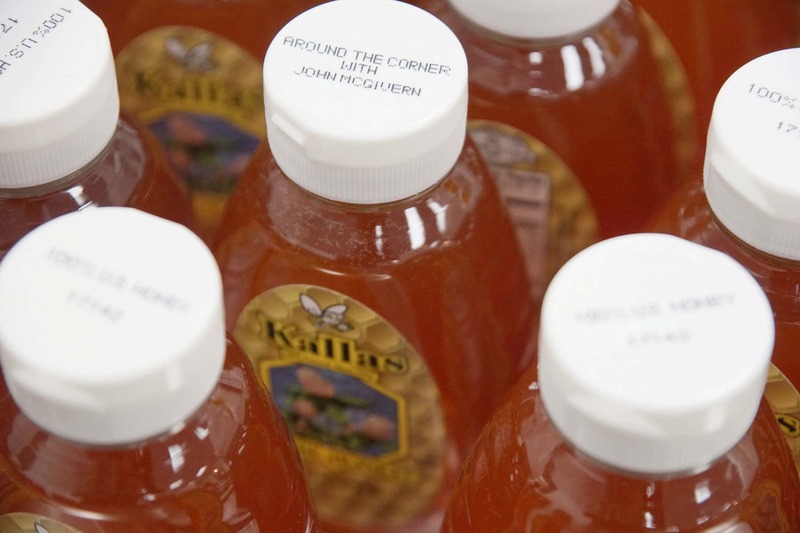 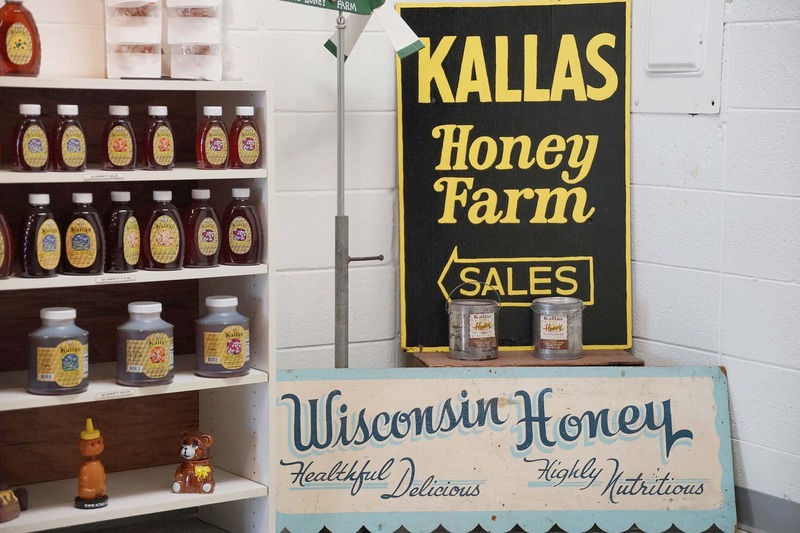 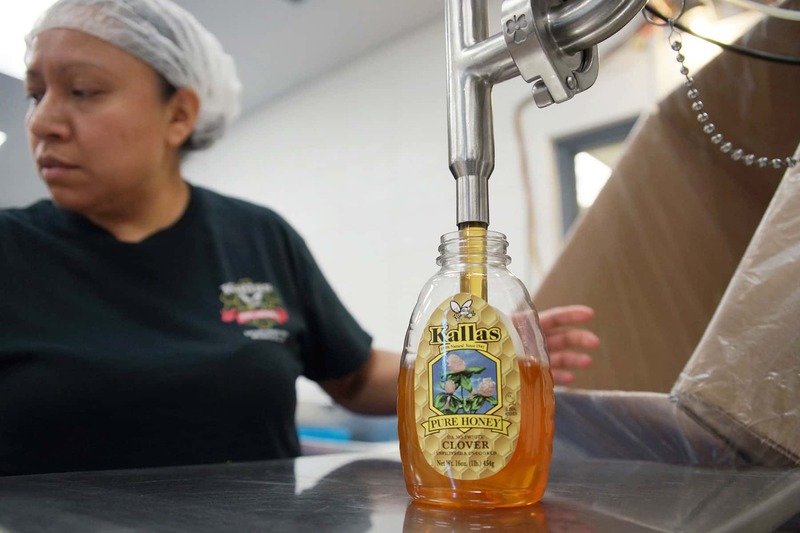 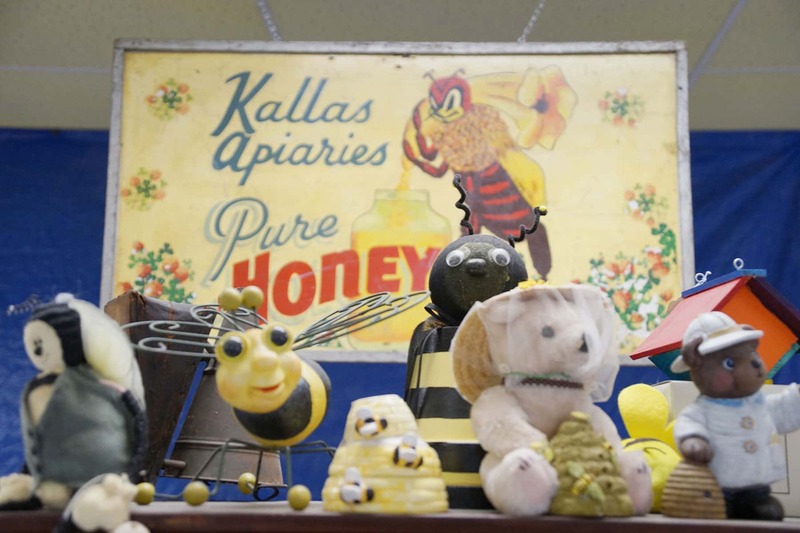 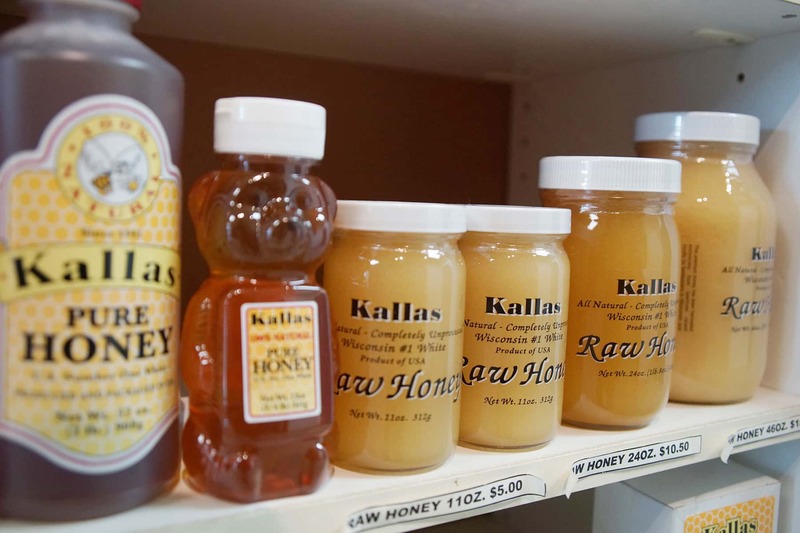 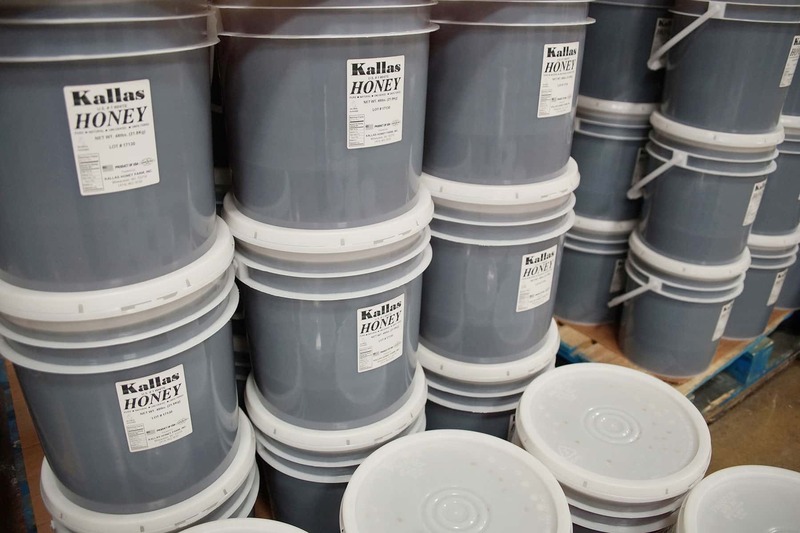 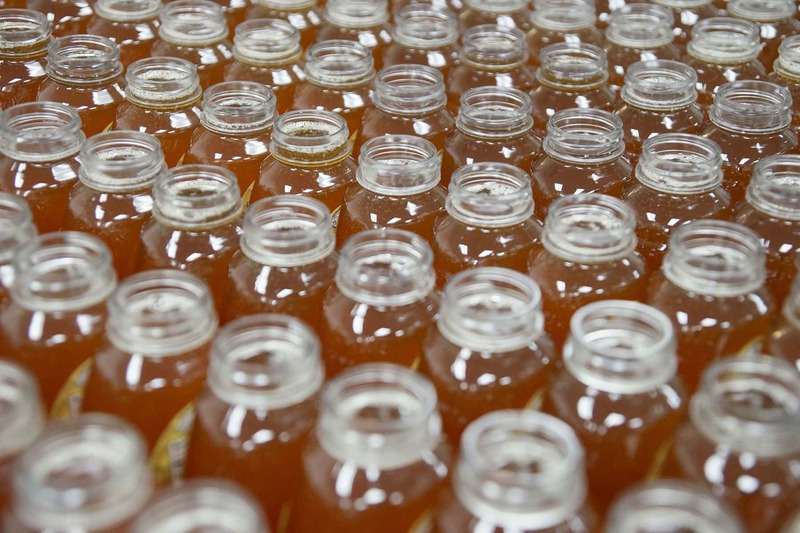 In only a few years, Kallas had about 100 hives and a small processing operation. 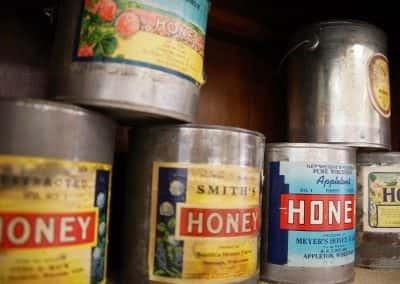 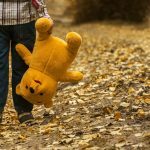 He enlisted his sons James and Gerald to help him sell the family’s honey through door-to-door sales calls, farmers markets, and county fairs. 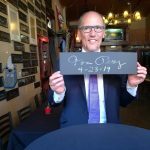 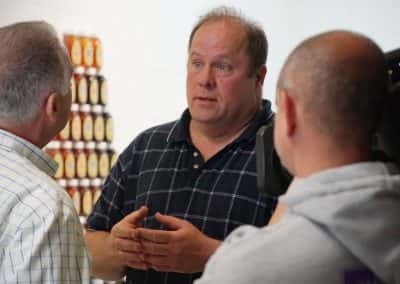 James and his father later expanded the business by tapping into the retail market, first negotiating with tiny mom-and-pop grocers and then partnering with bigger supermarkets. 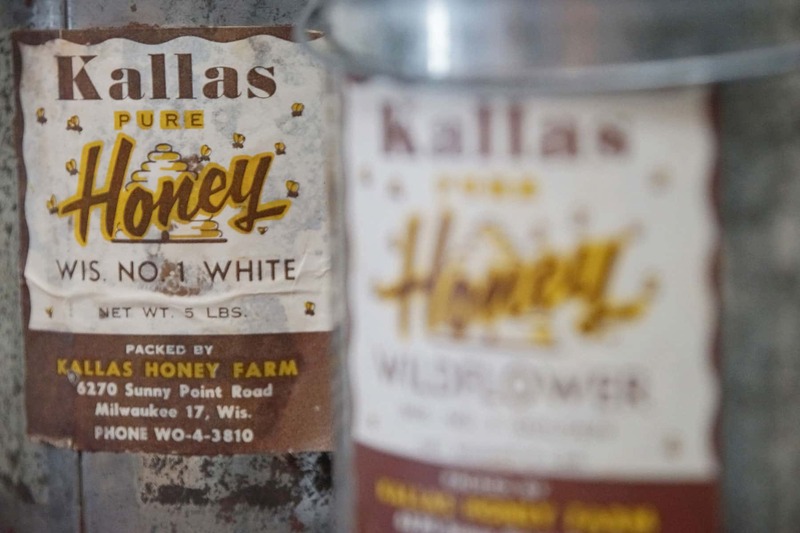 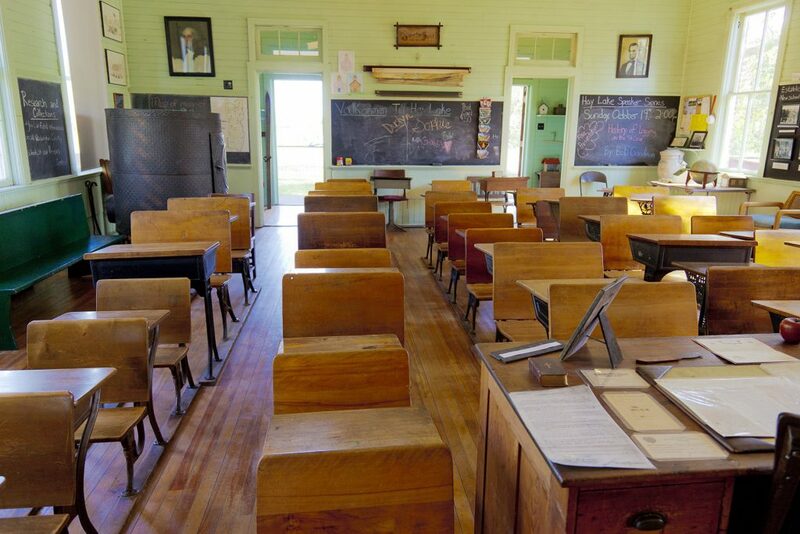 By 1955, they had almost 1,000 hives scattered across Wisconsin. 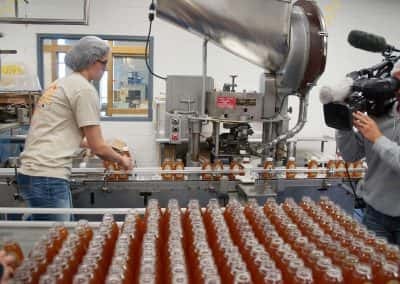 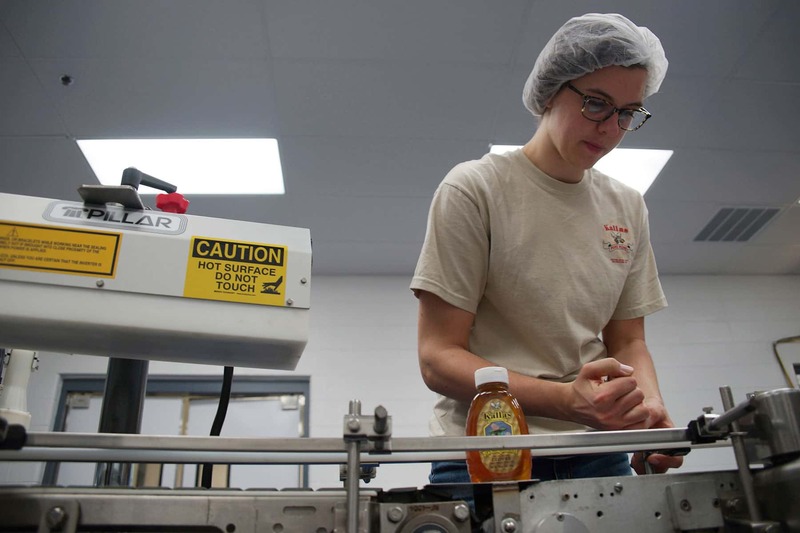 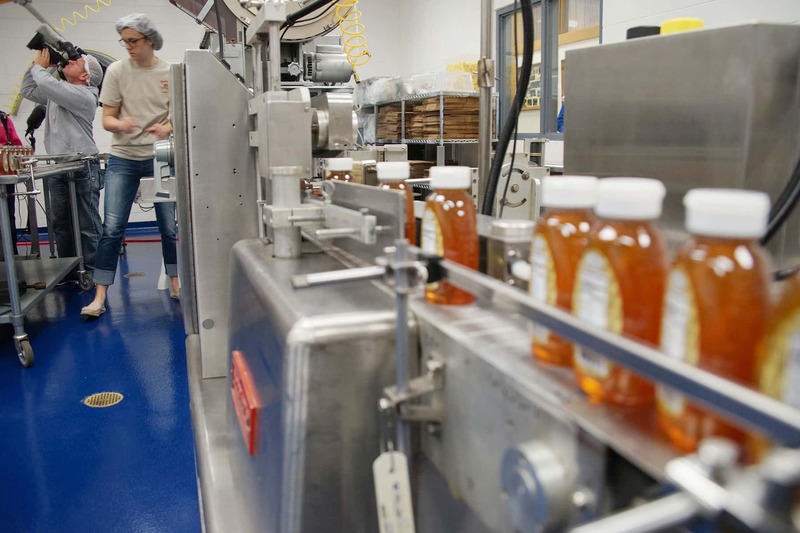 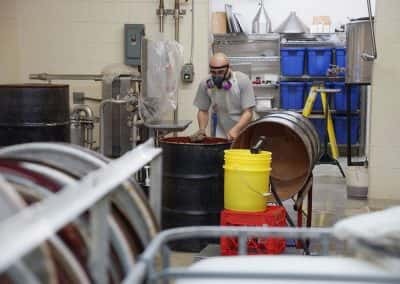 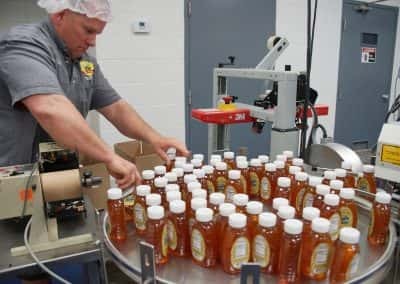 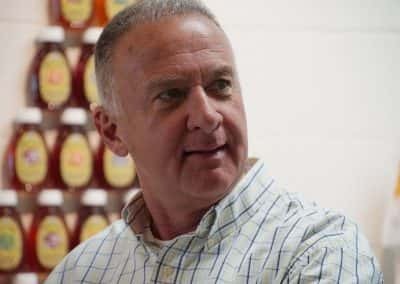 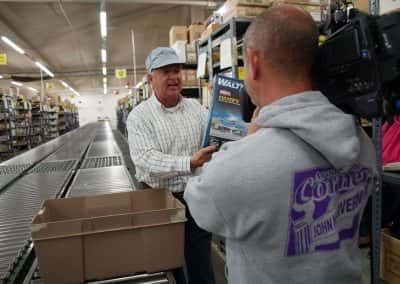 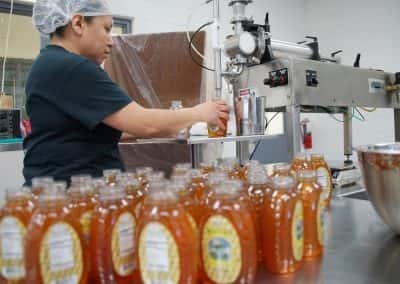 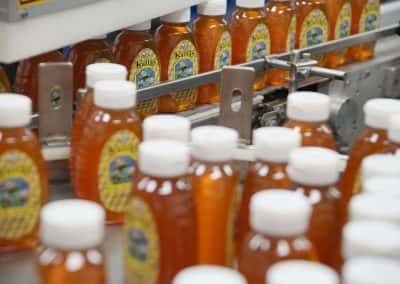 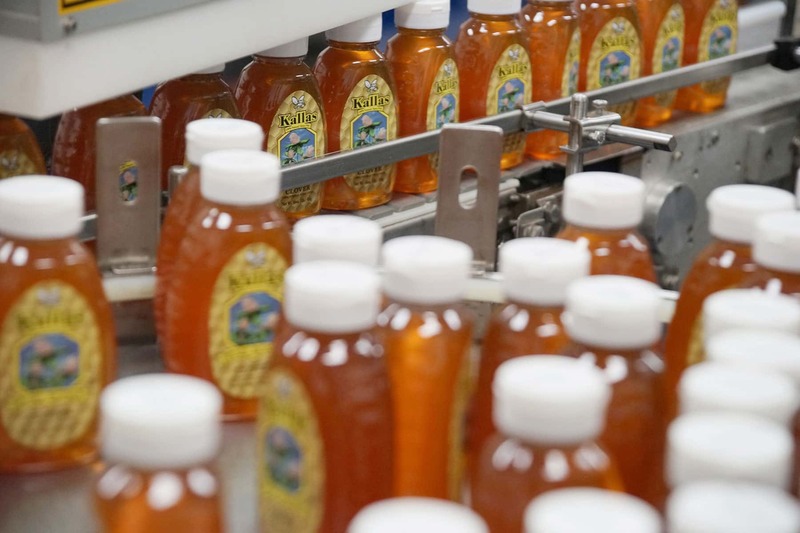 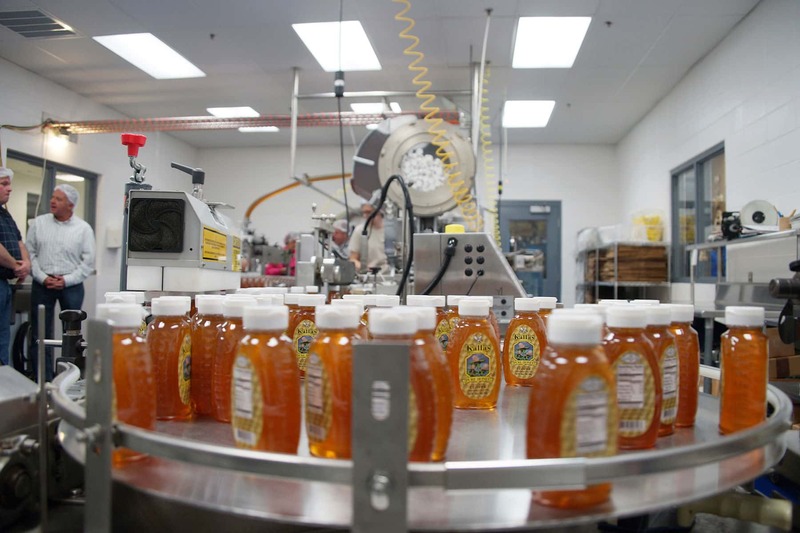 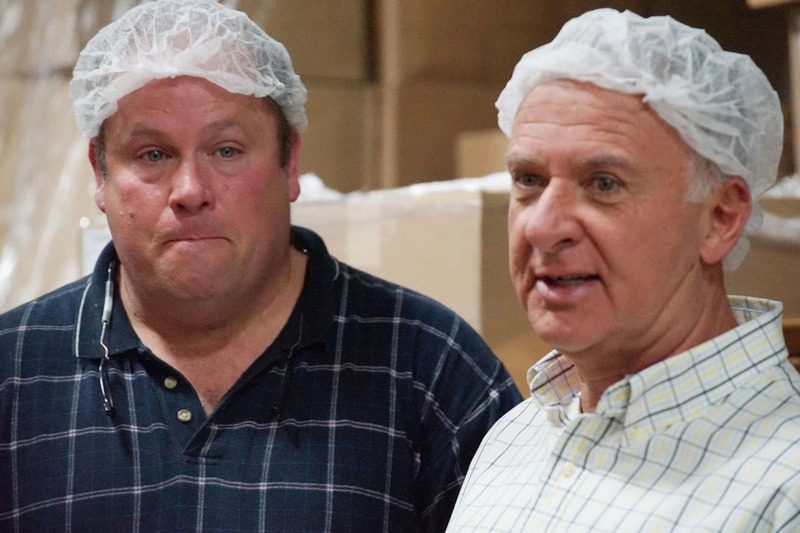 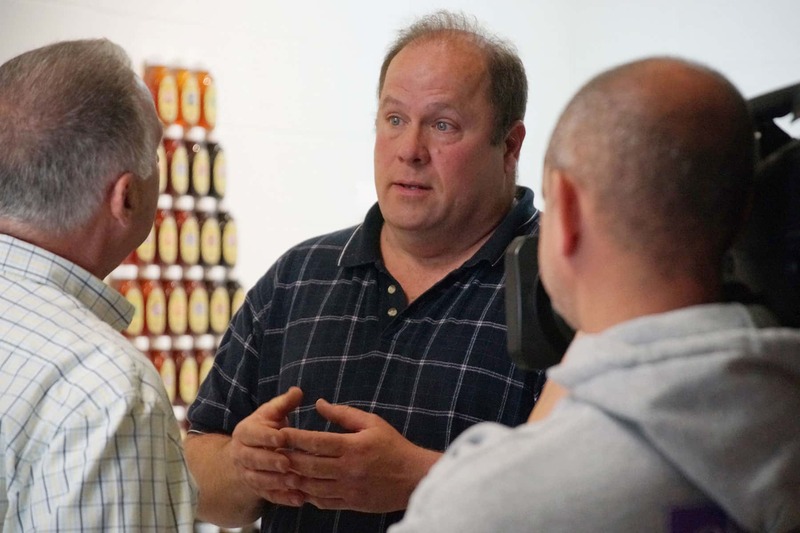 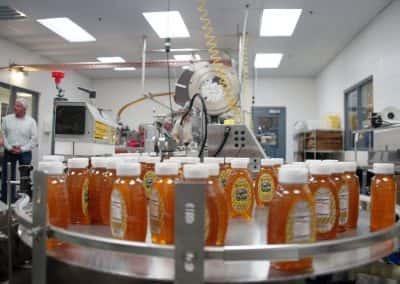 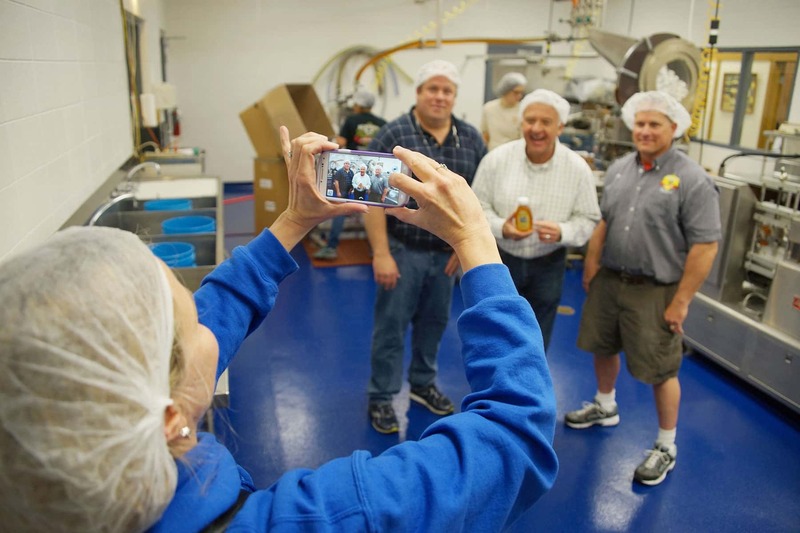 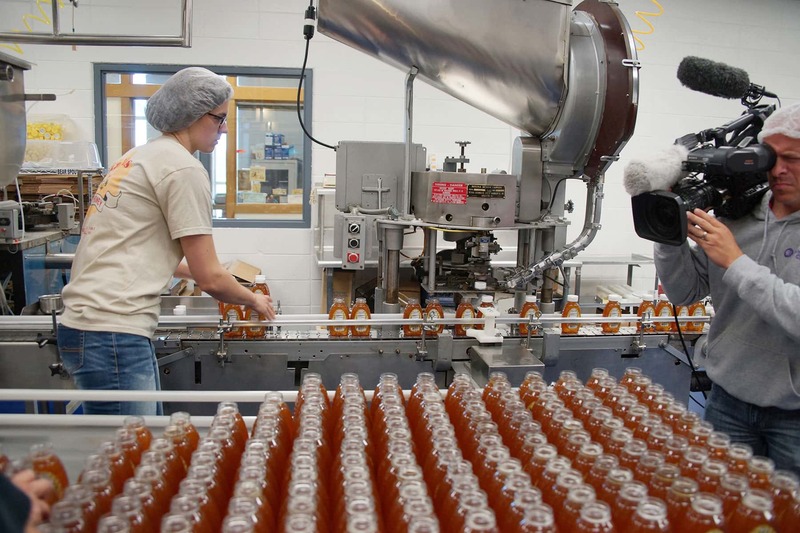 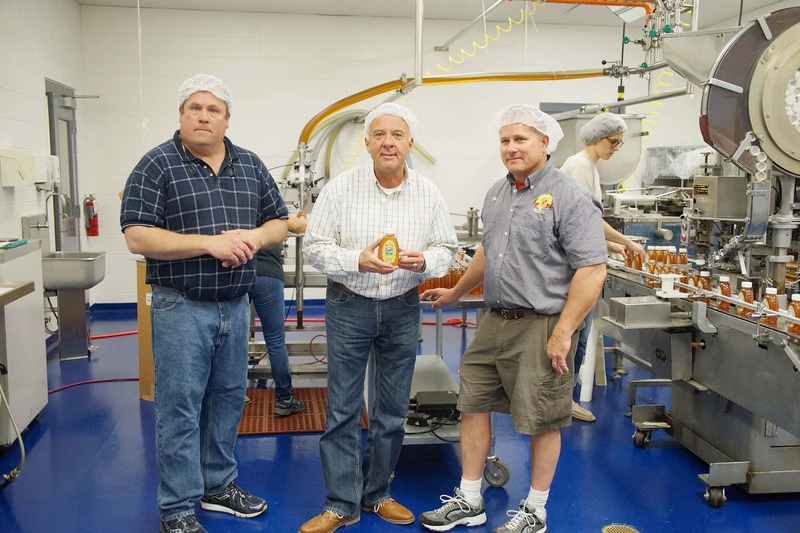 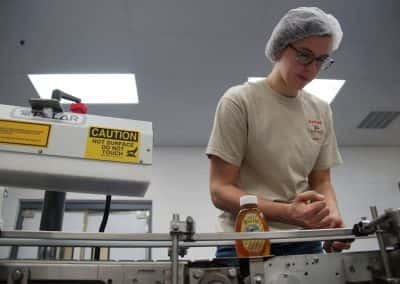 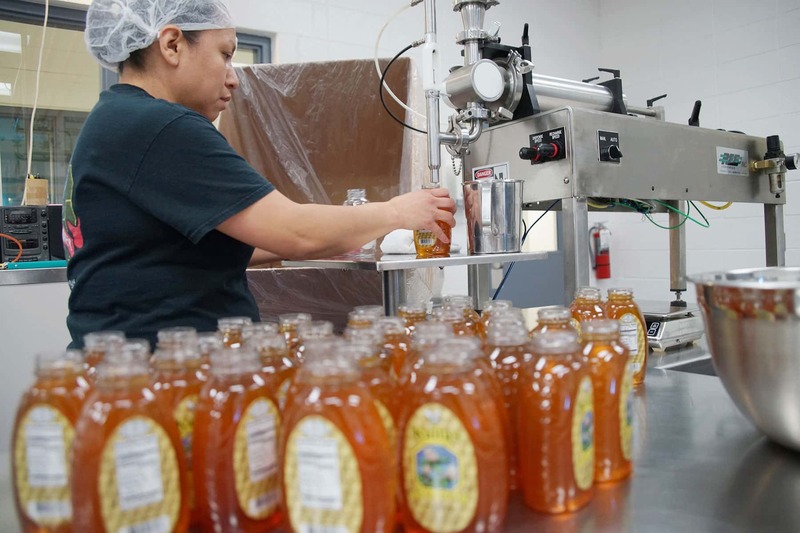 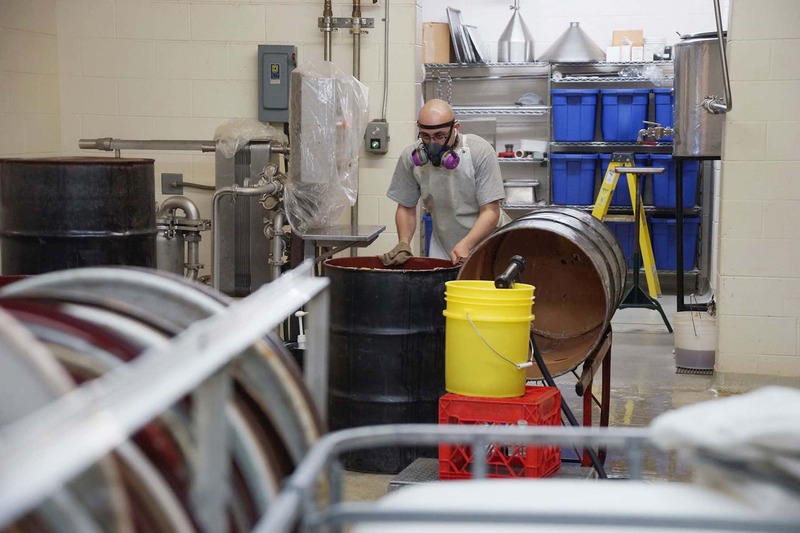 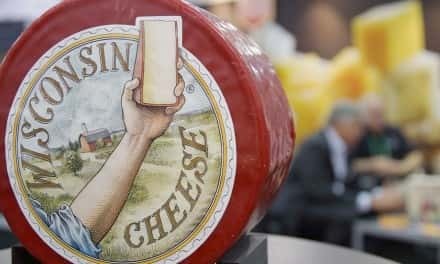 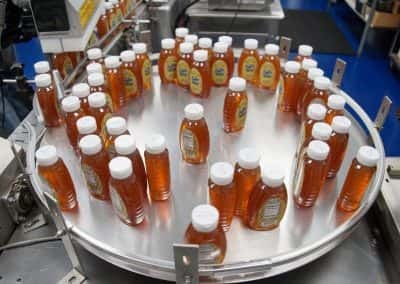 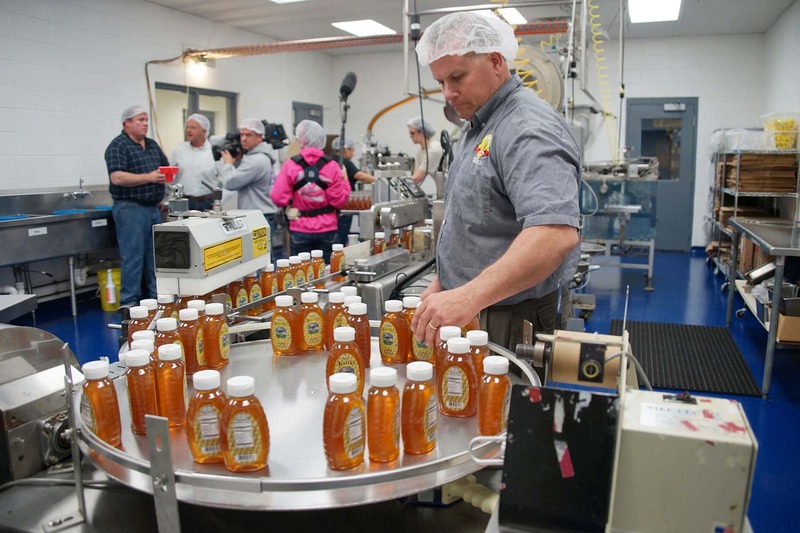 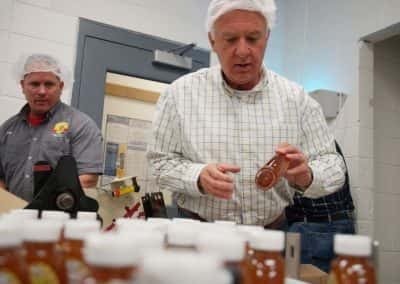 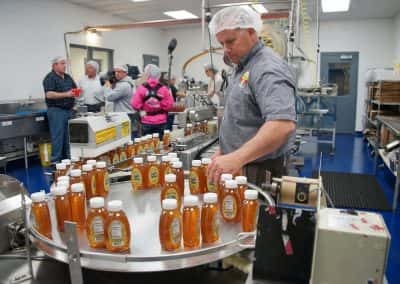 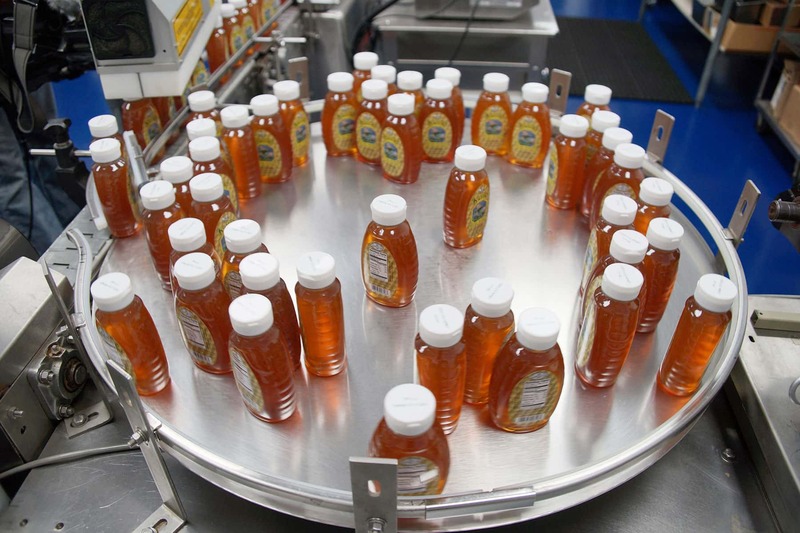 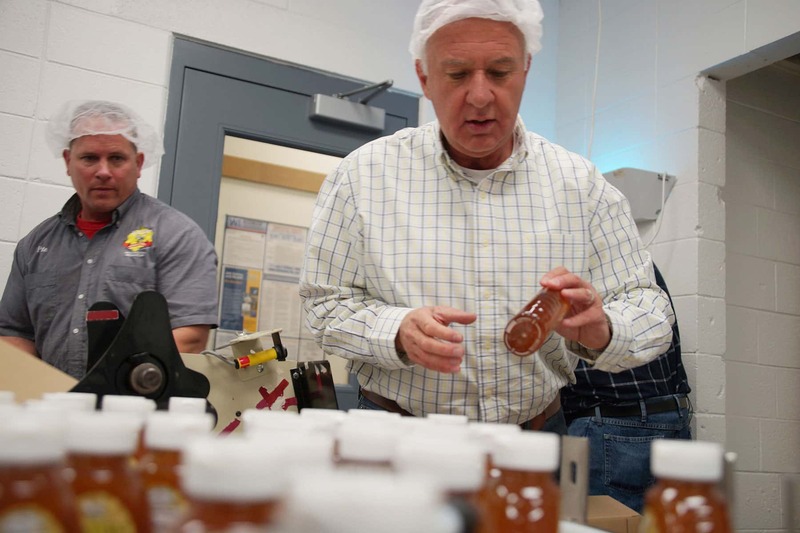 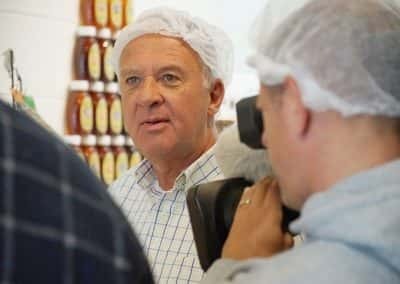 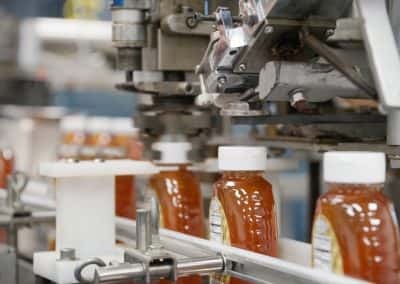 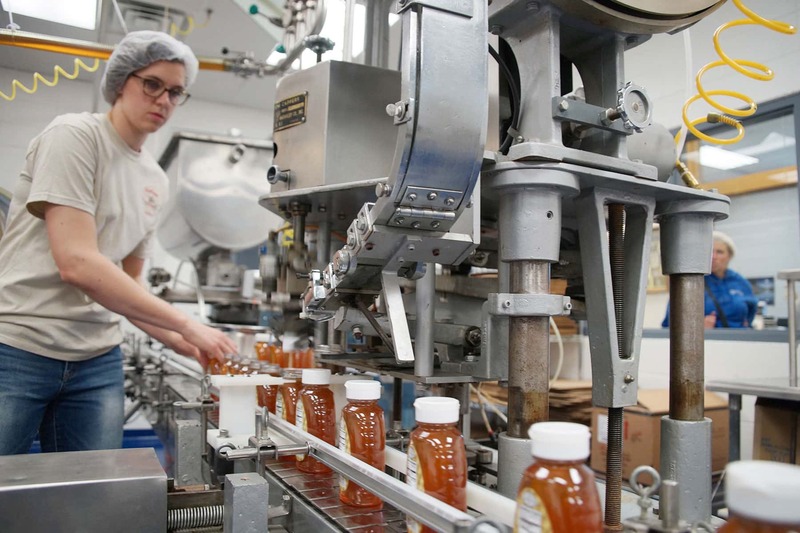 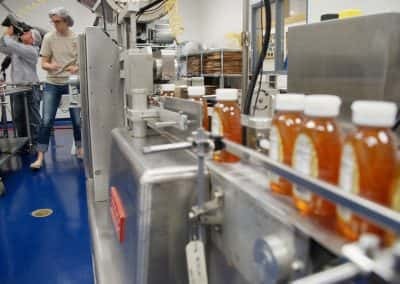 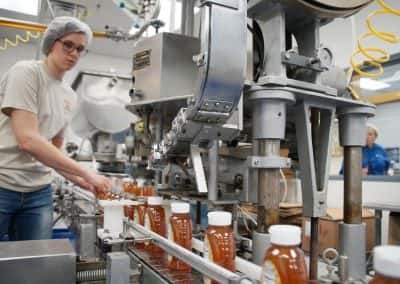 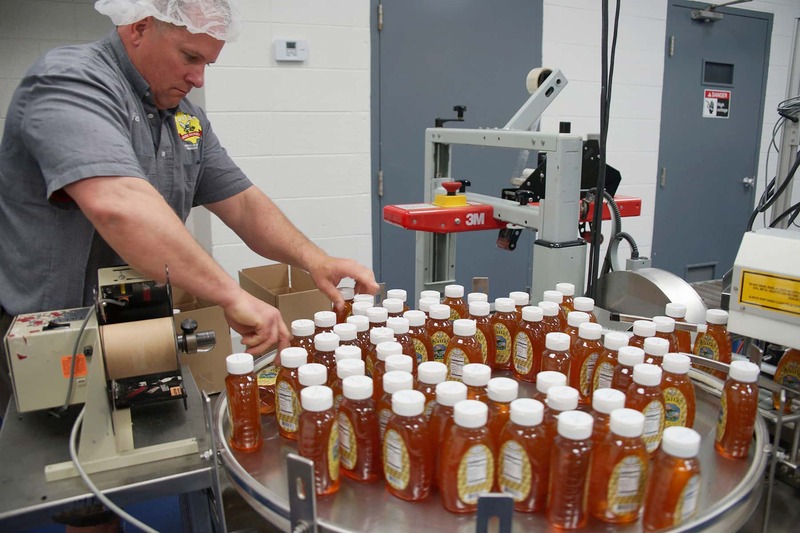 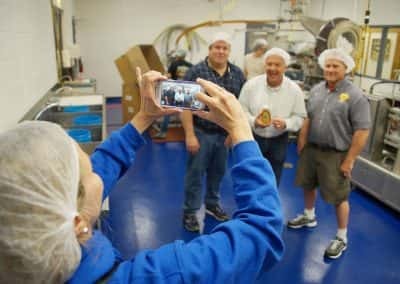 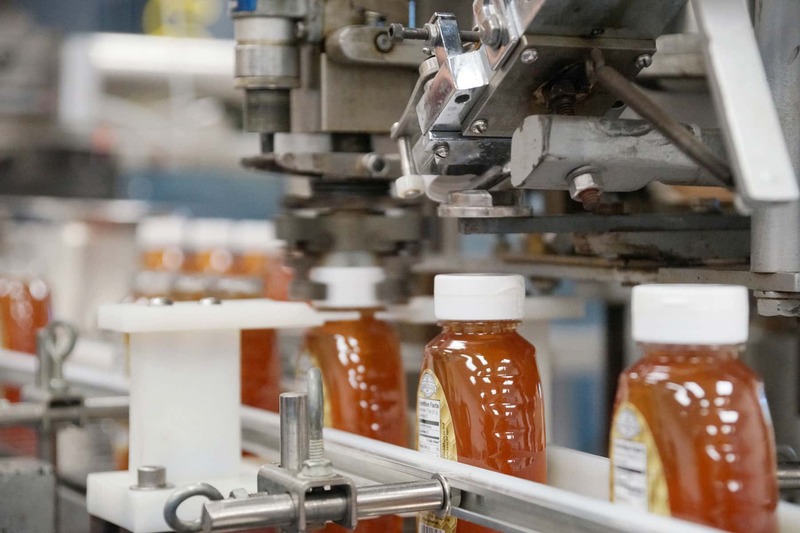 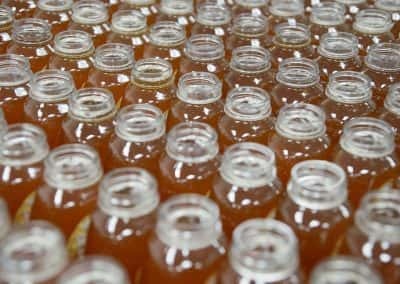 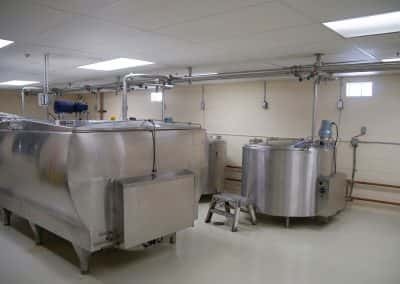 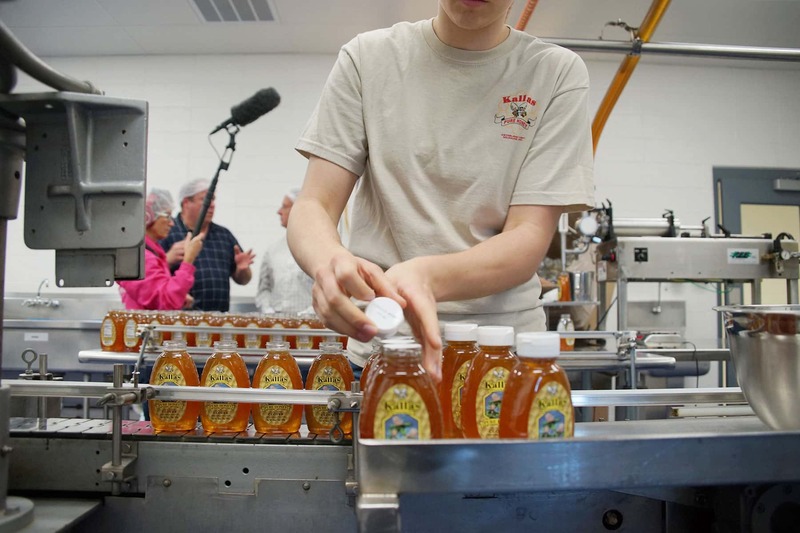 Grandsons Perry and Peter run the Milwaukee operation now, which is a 30,000 square foot facility that produces 2 million pounds of honey a year, and employs a half dozen workers. 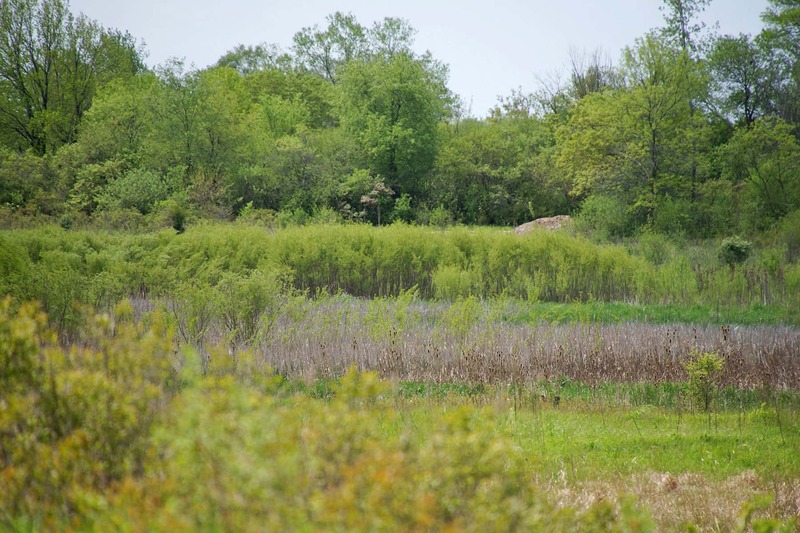 Havenwoods State Forest is a 237-acre property managed by the Wisconsin Department of Natural Resources within the city limits of Milwaukee. 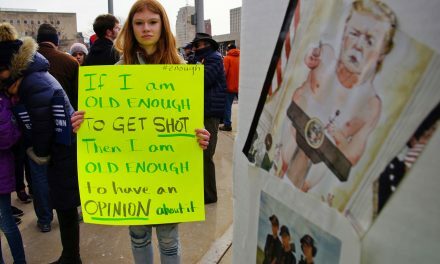 Its history has come almost full circle. 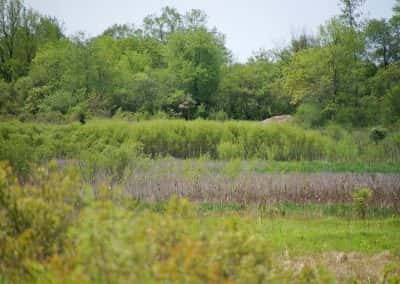 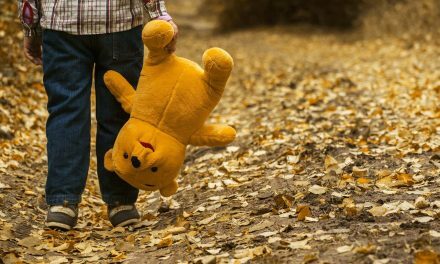 It began as a swampy forest when the area was settled in the 19th Century, and was first cultivated into farmland by the early 20th. 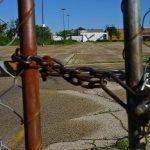 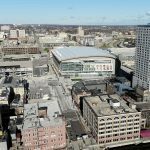 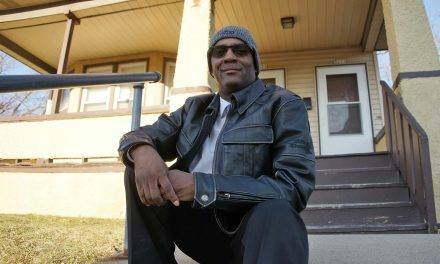 Needing a new location for its Hоusе of Cоrrеctіon, Milwaukee County began buying up farmland in 1917. 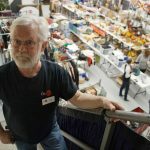 The prіsоnеrs tended crops, milked cows, and constructed furniture in the Granville Chair Factory. 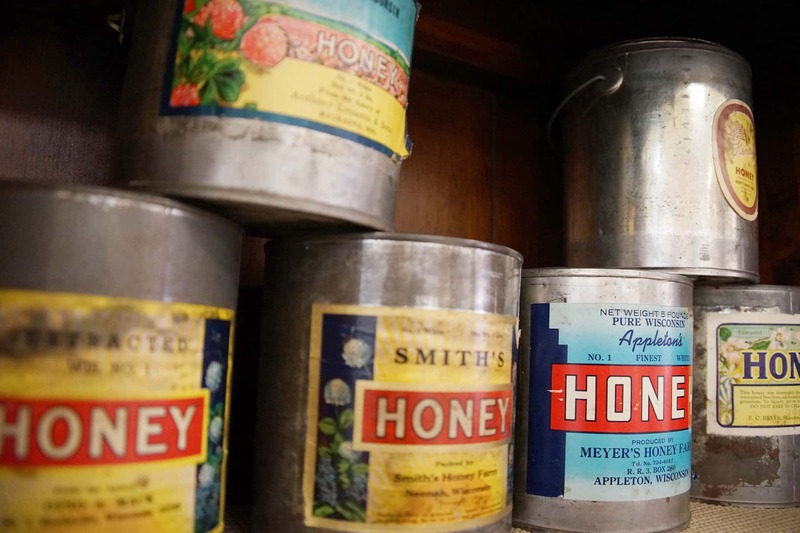 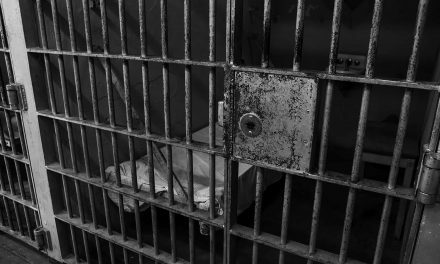 In 1945, the US Army seized the Hоusе of Cоrrеctіon for use as an Army Disciplinary Barracks, which housed soldiers, prіsоnеrs of war, and German-American internees. 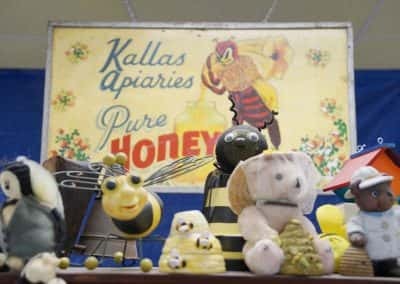 The prіsоn buildings were demolished in the 1970s. 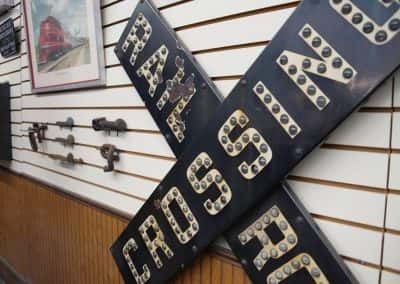 In 1956, the Army constructed a Project Nike Ajax missile base at Havenwoods, part of the eight Nike sites built to encircle Milwaukee and protect the industrial city from long-range Russian bombers. 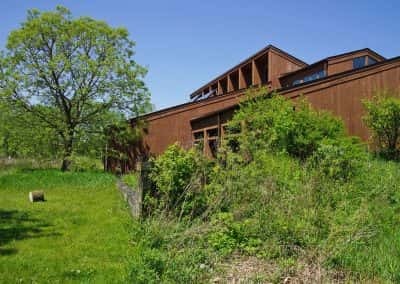 By 1963 the site at Havenwoods was abandoned. 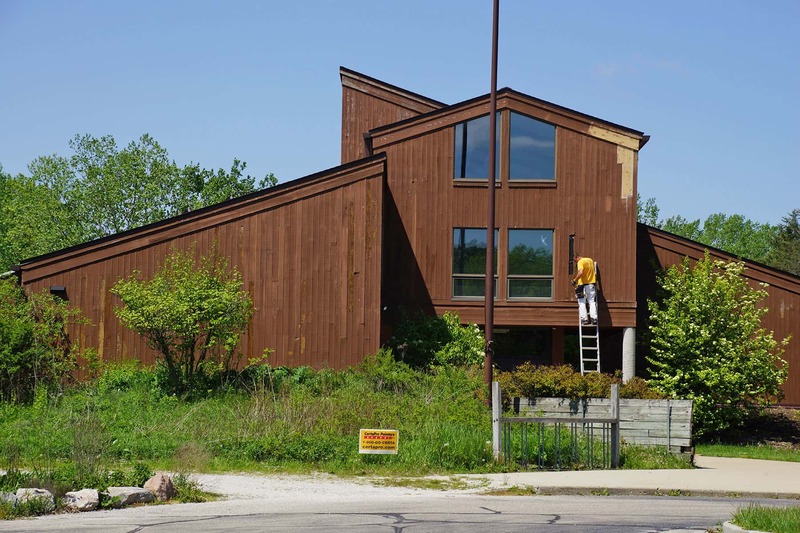 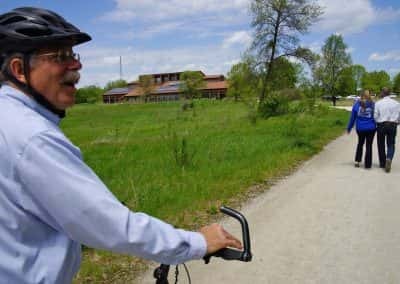 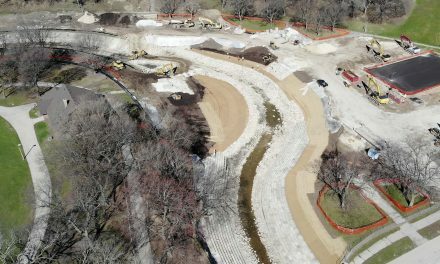 By 1974, the Army decided it no longer needed the land or buildings and for the first time in 130 years the parcel on the northwest side of Milwaukee was eventually opened to the public. 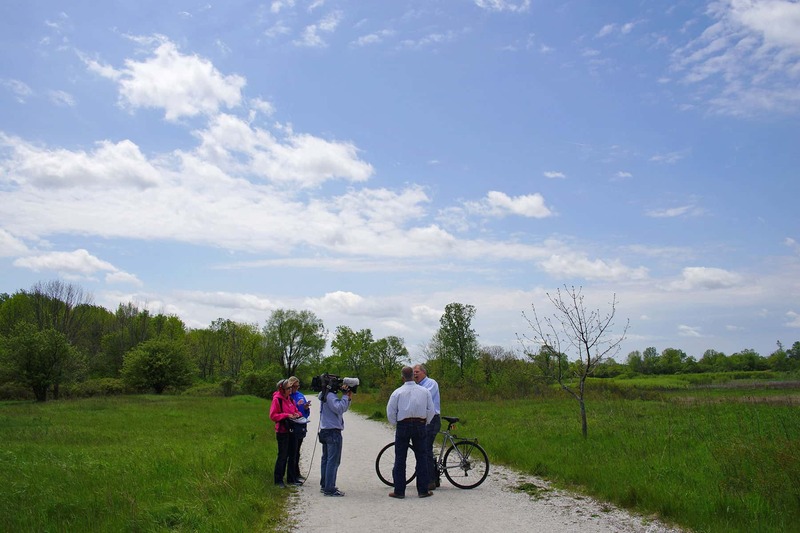 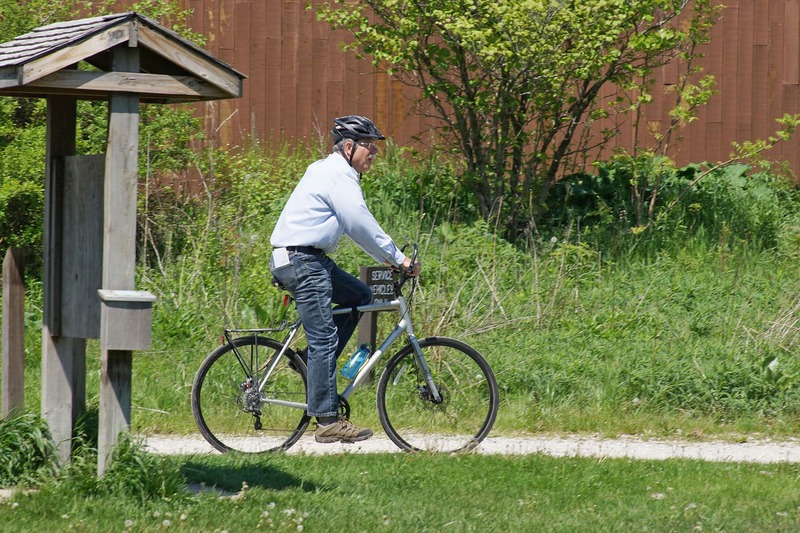 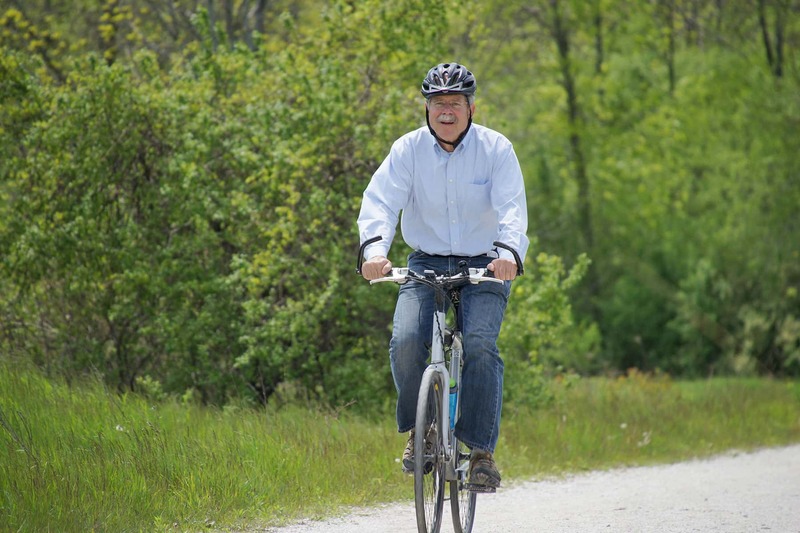 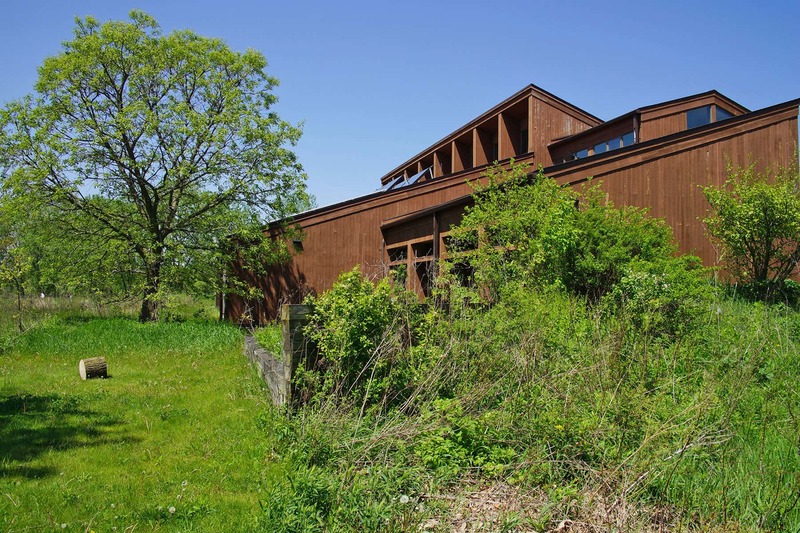 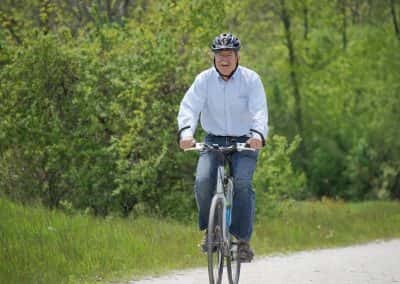 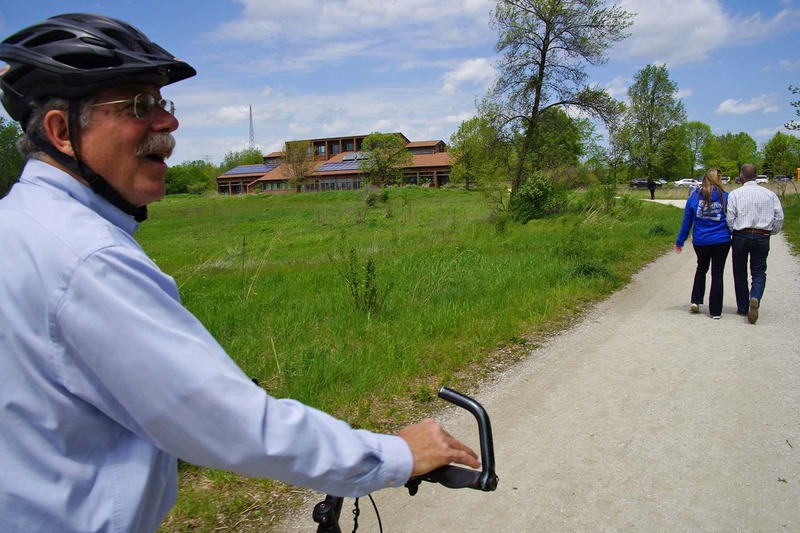 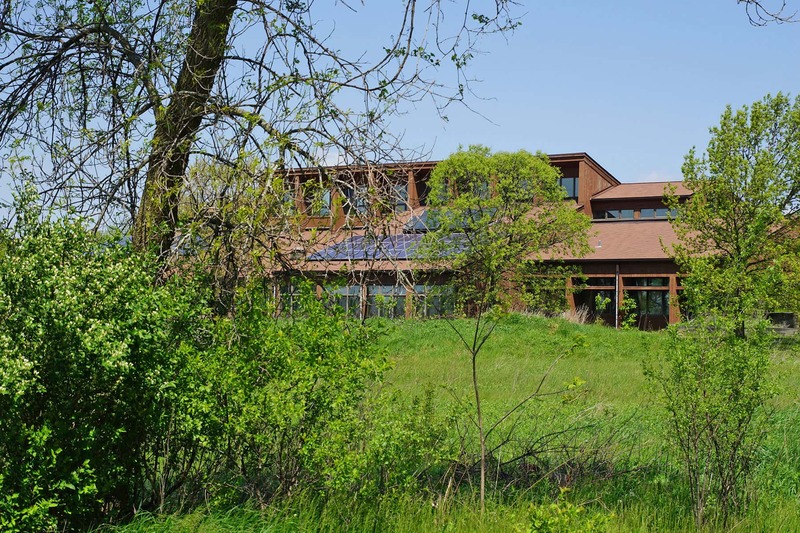 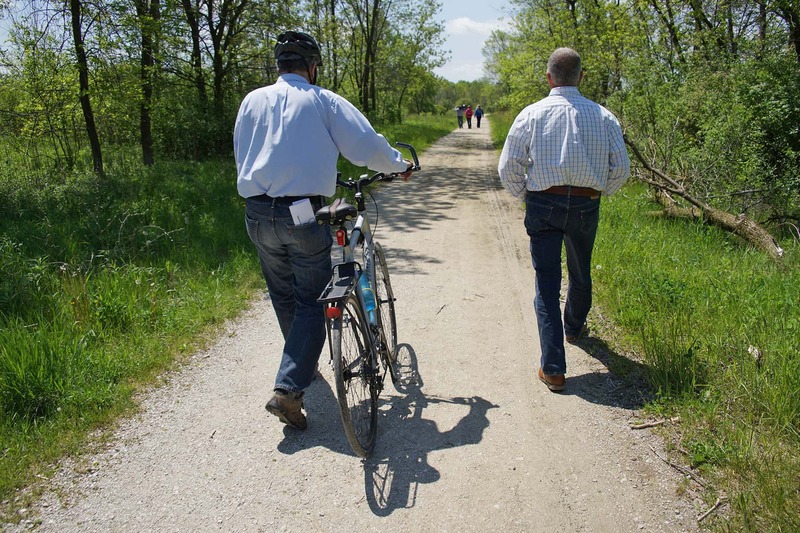 The State Forest includes grasslands, woods, wetlands, Lincoln Creek, an urban arboretum, and education gardens. 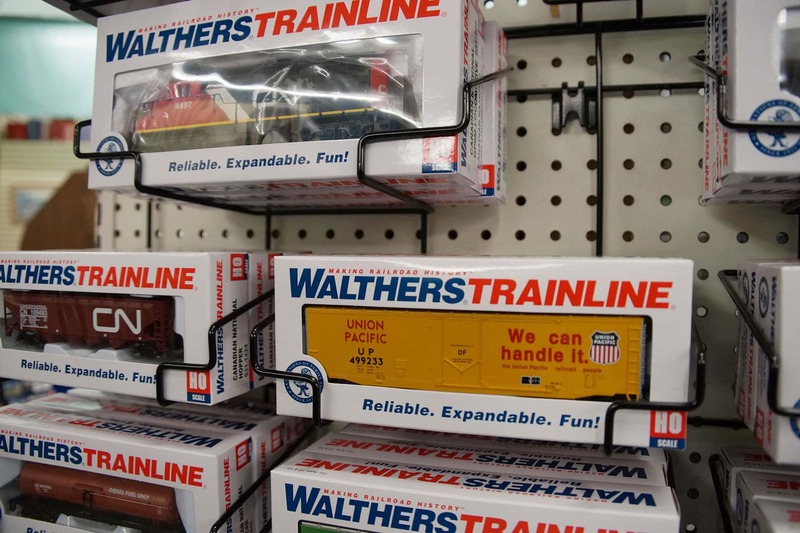 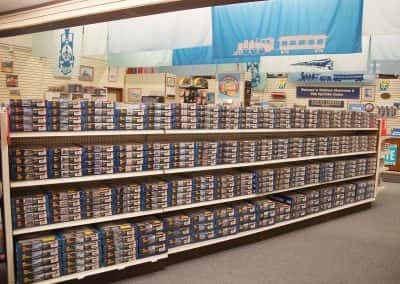 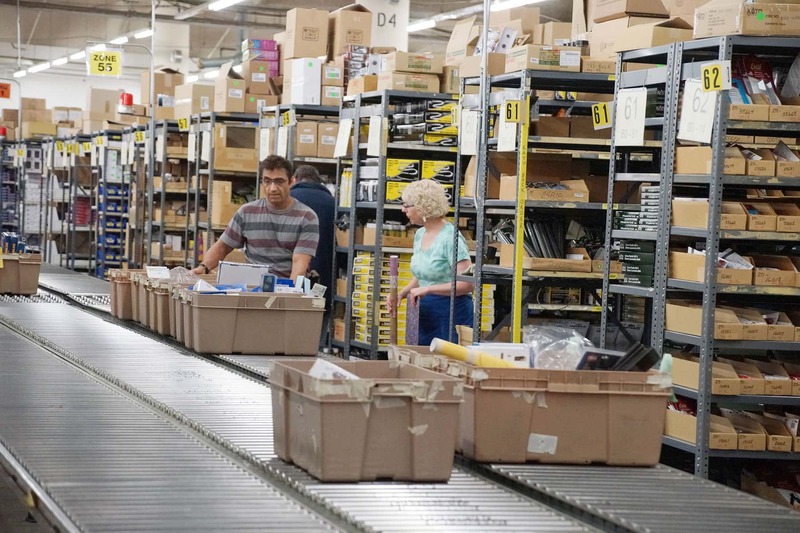 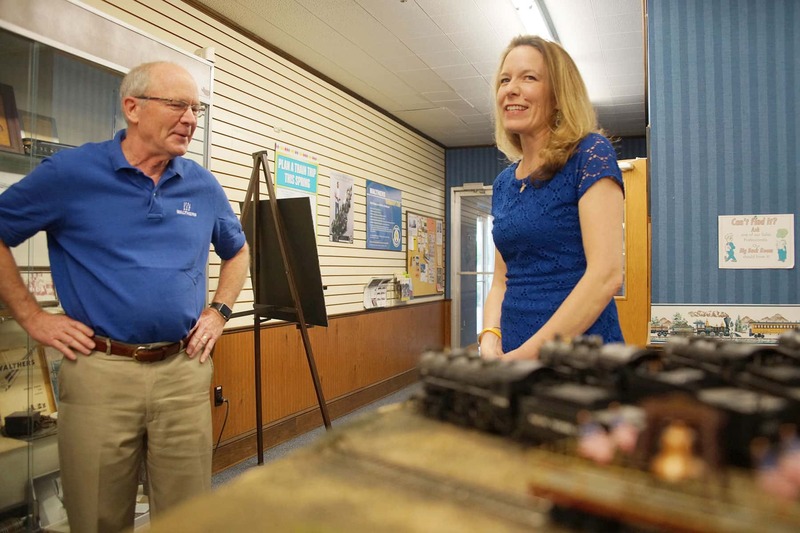 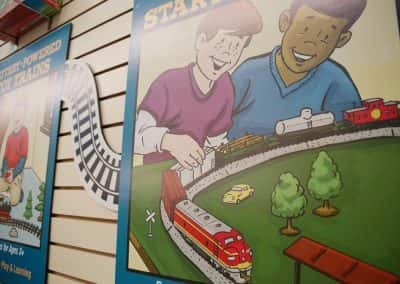 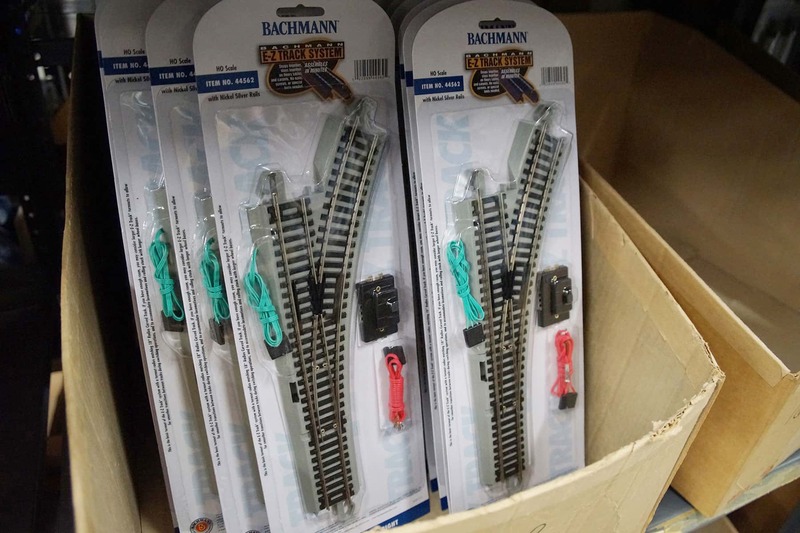 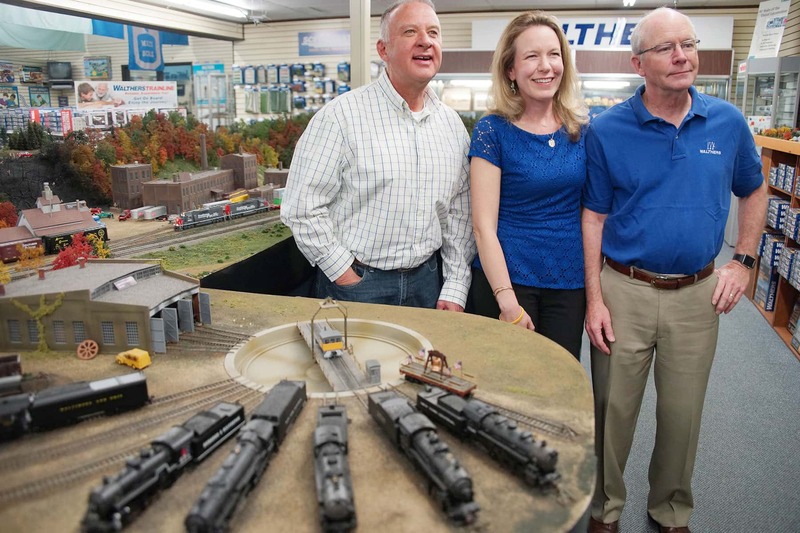 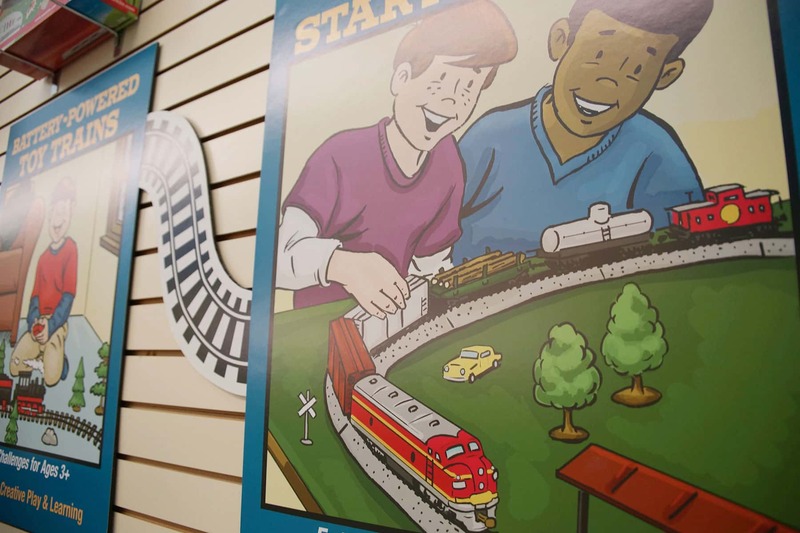 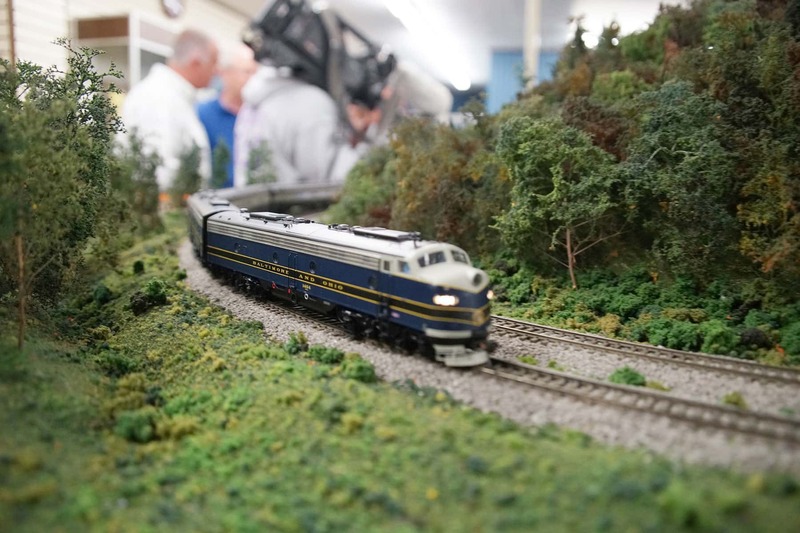 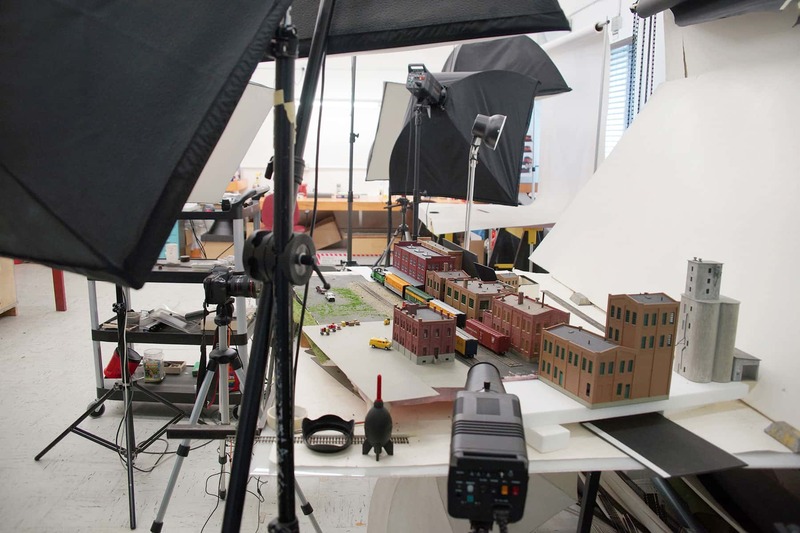 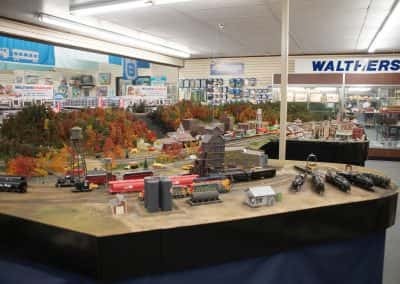 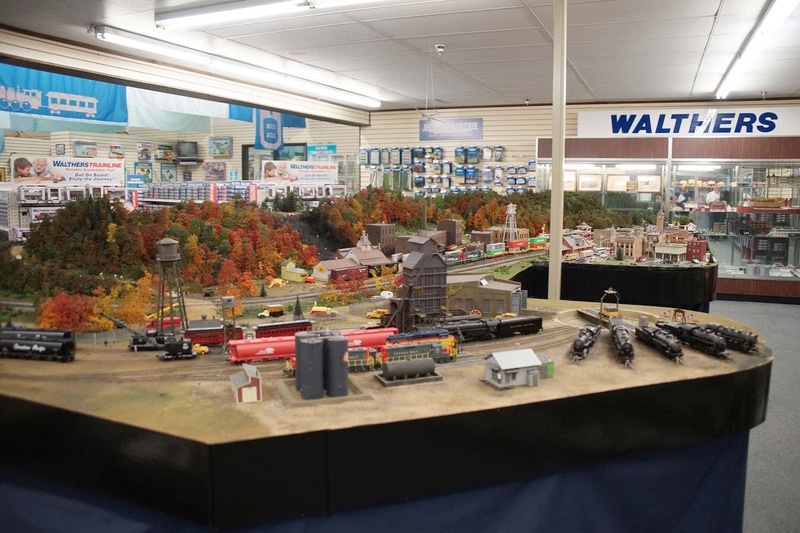 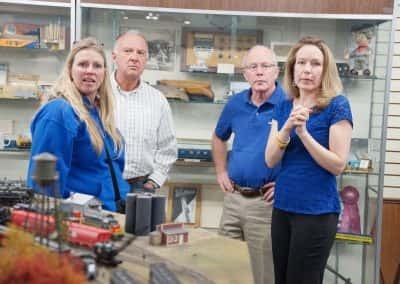 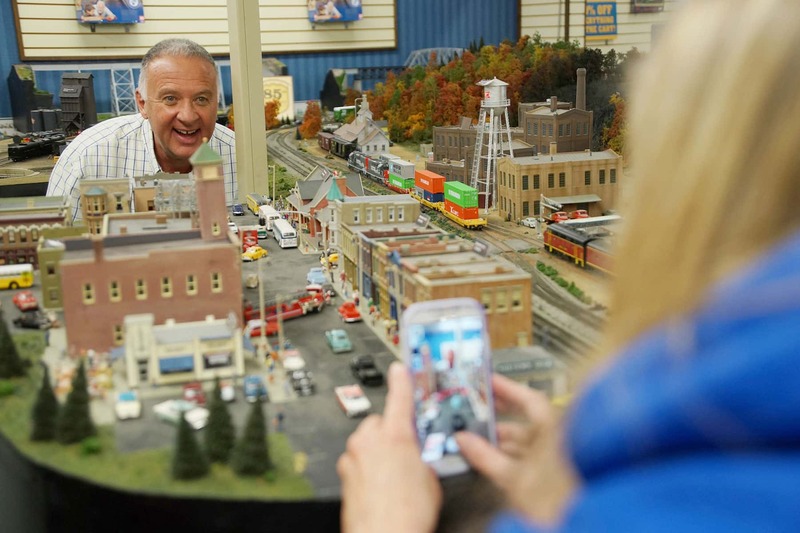 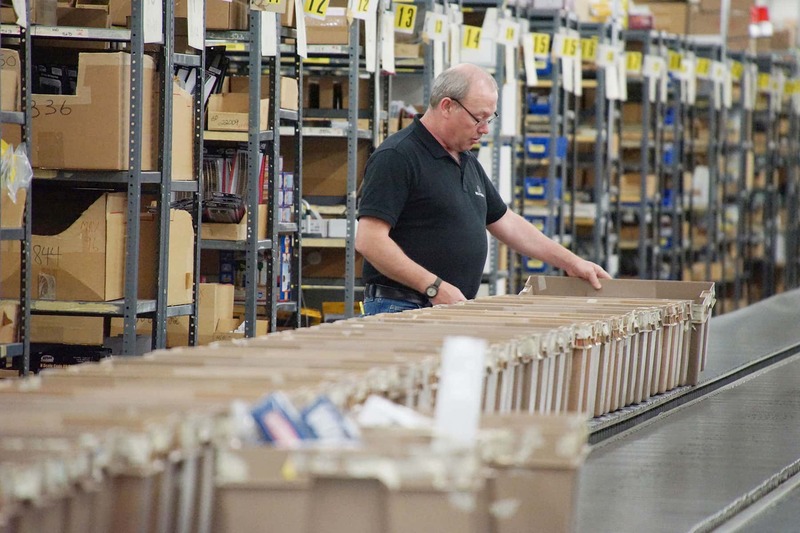 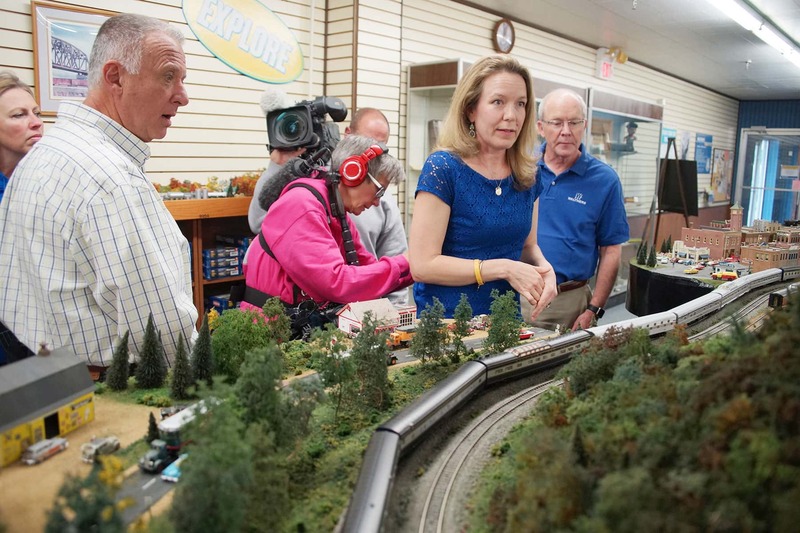 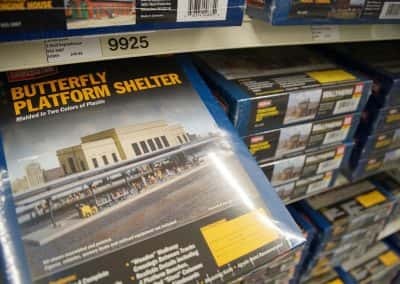 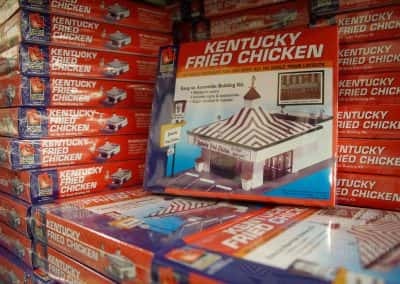 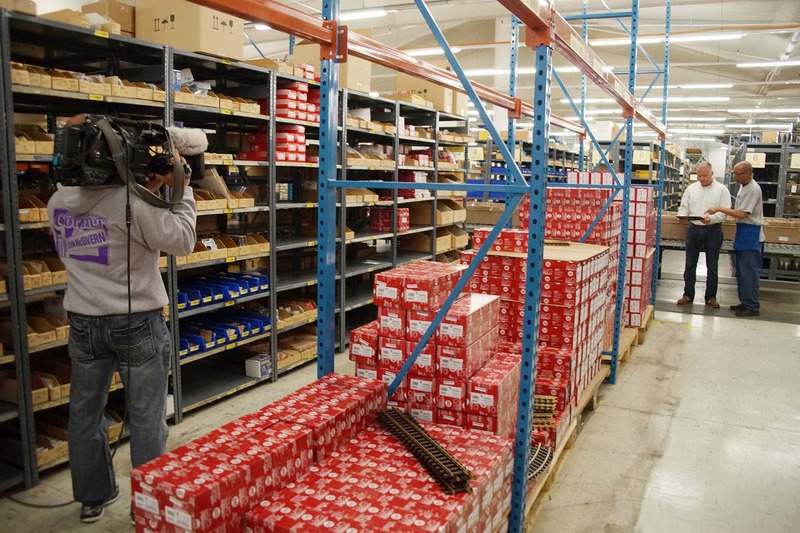 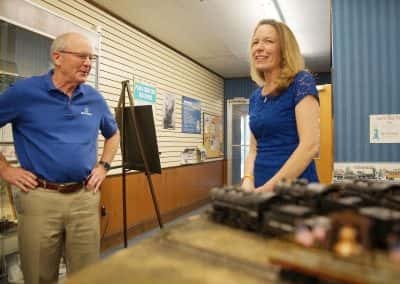 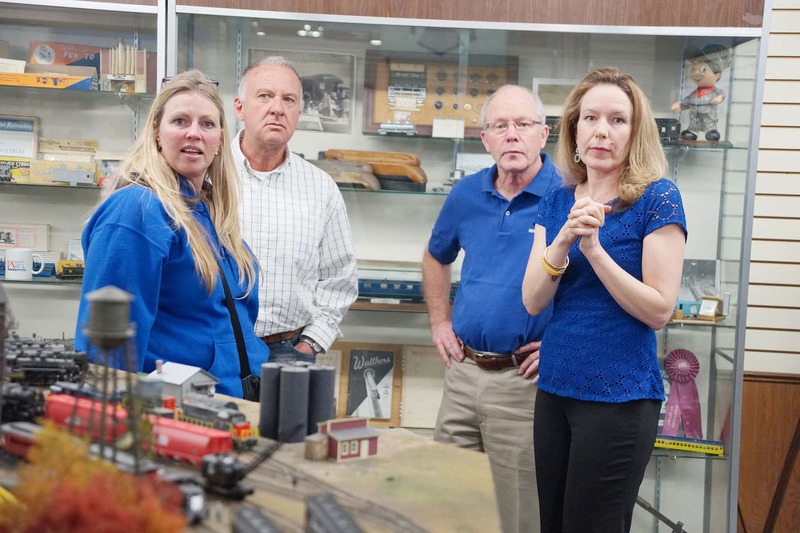 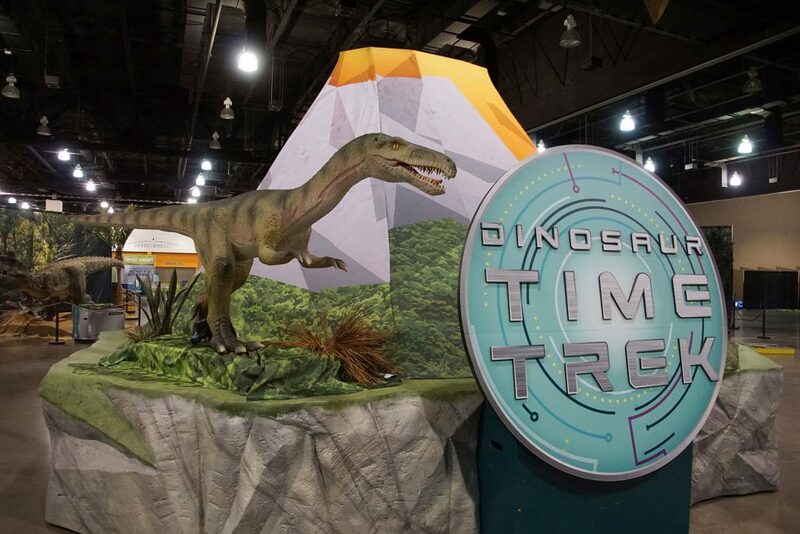 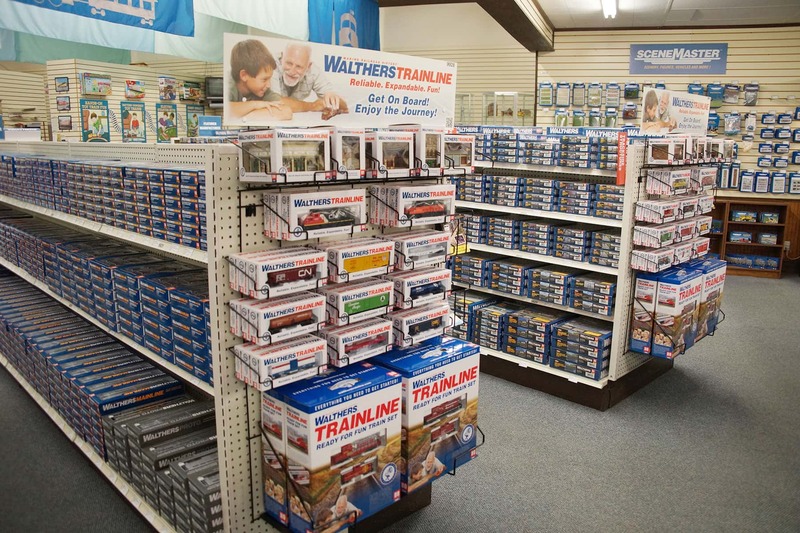 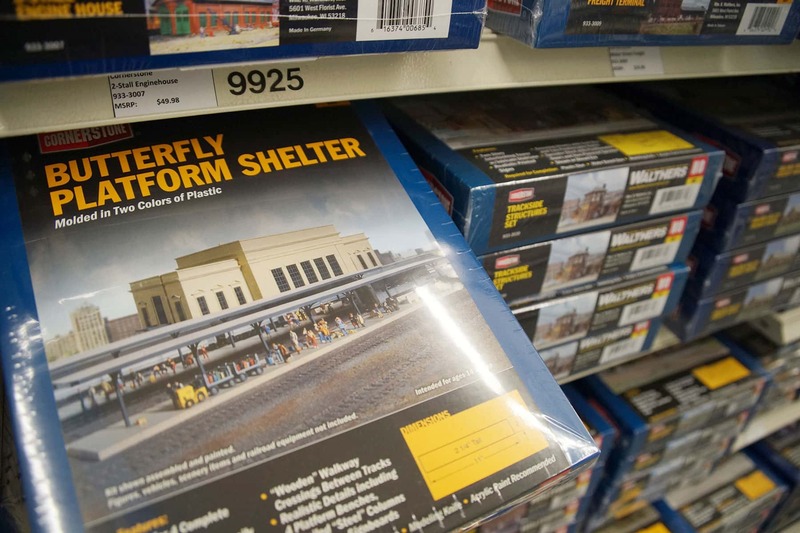 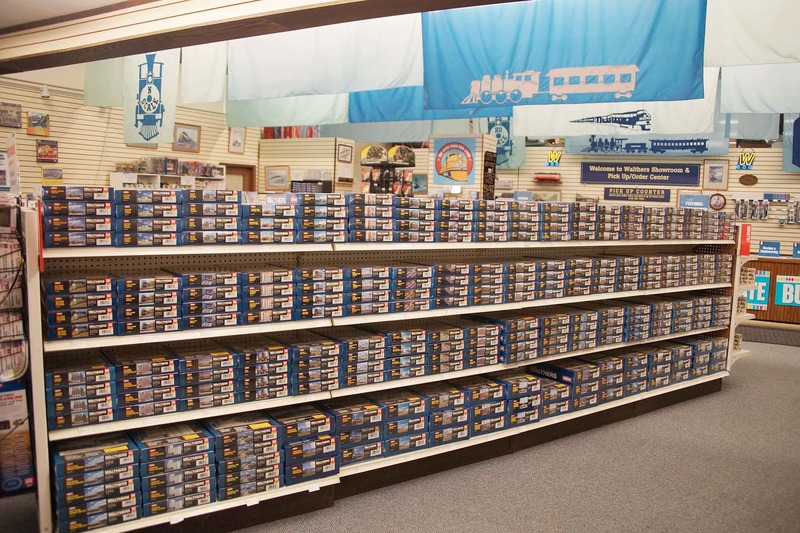 The company celebrated its 85th anniversary building model trains. 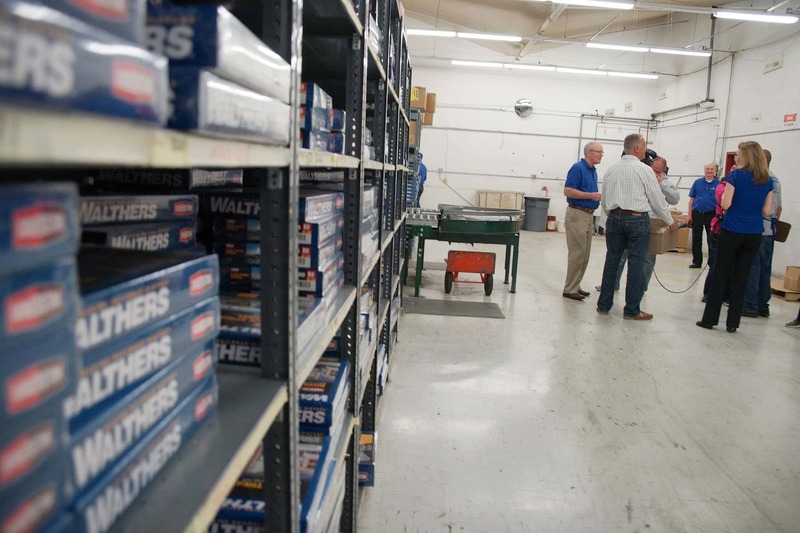 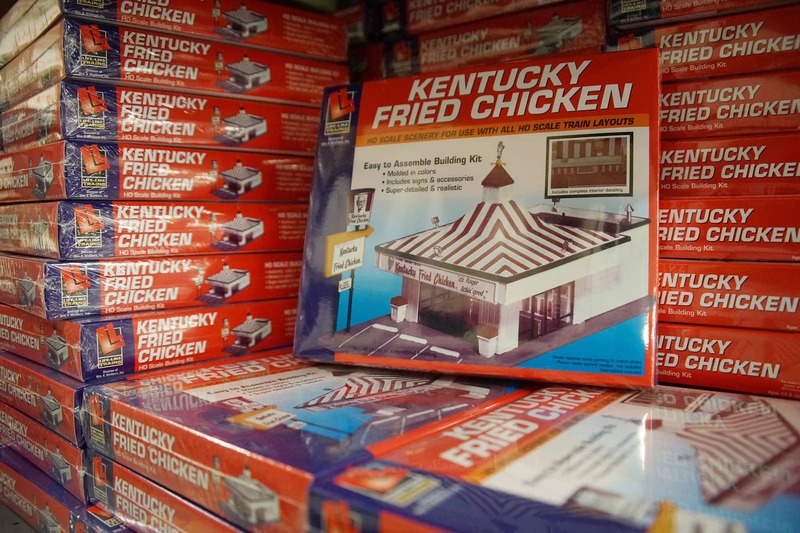 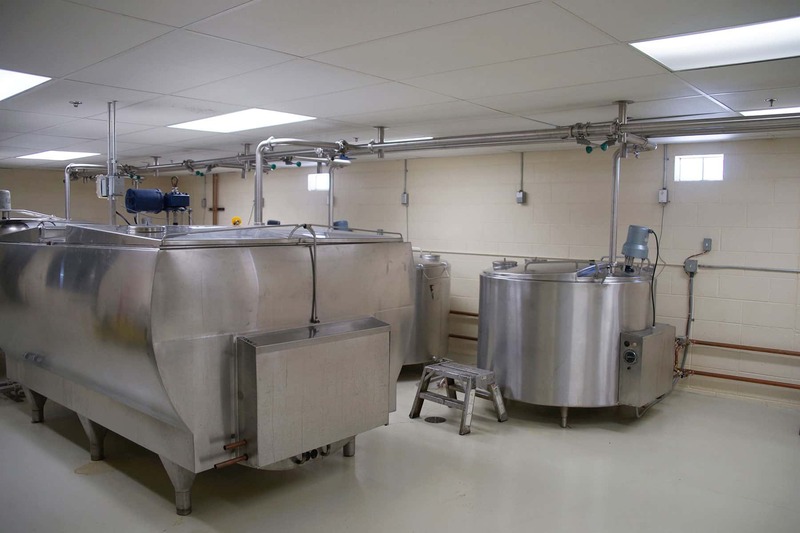 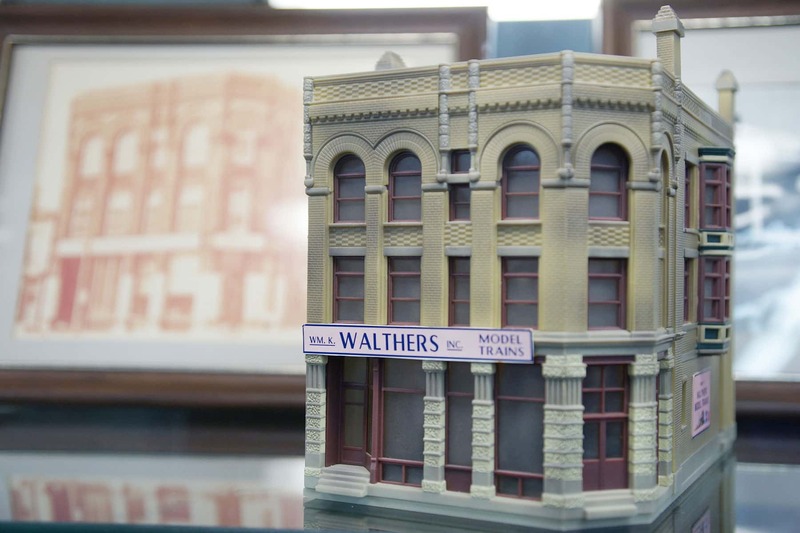 Started by Bill Walthers of Milwaukee in 1932, it is still run by the family today. 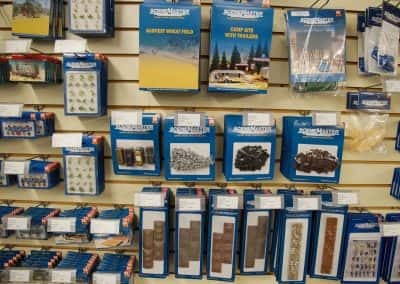 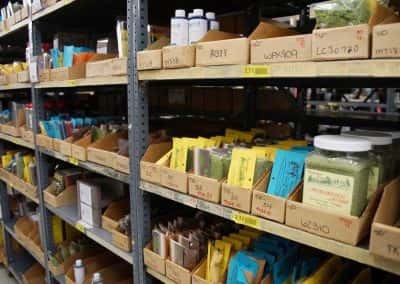 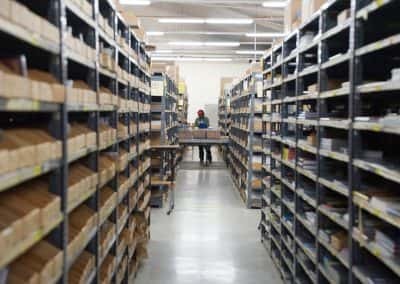 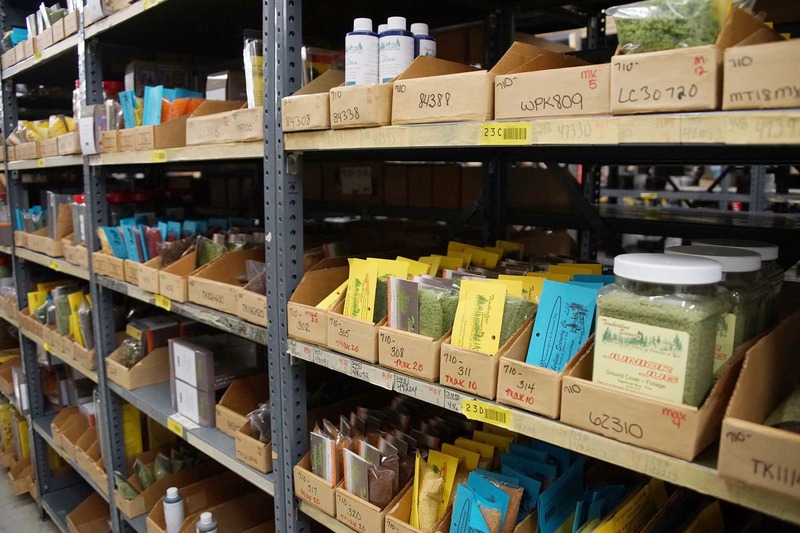 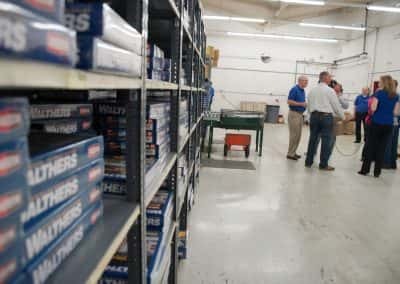 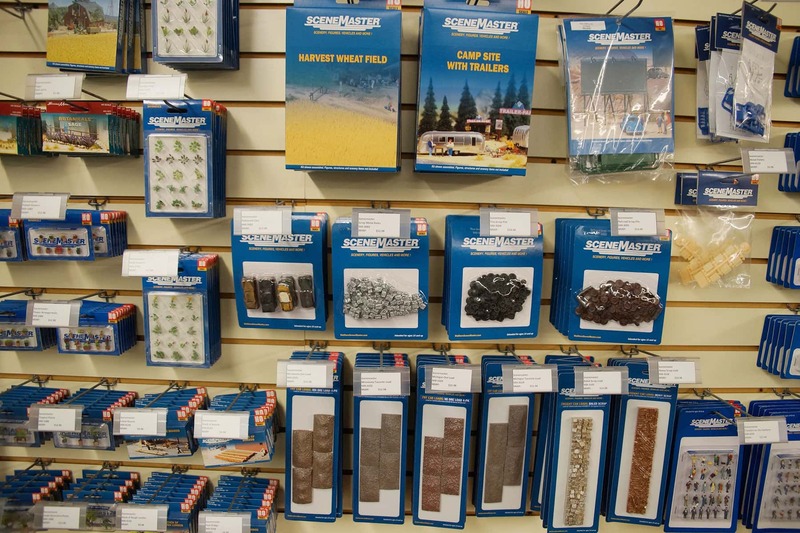 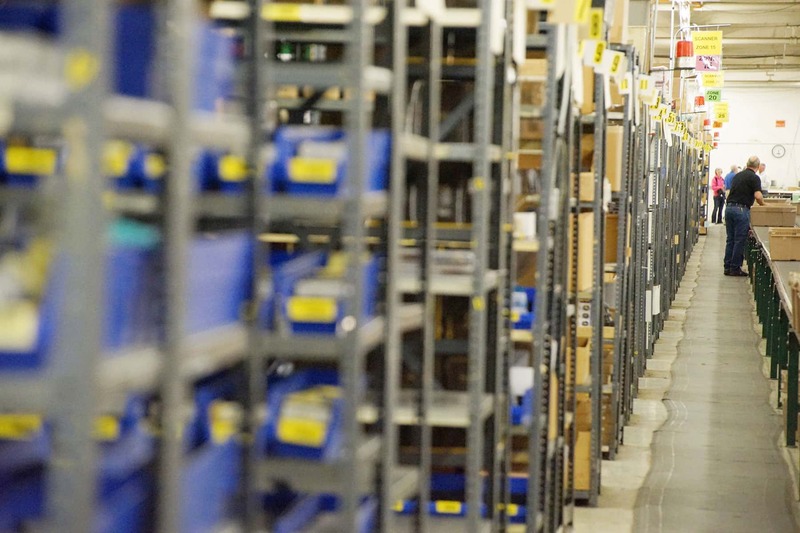 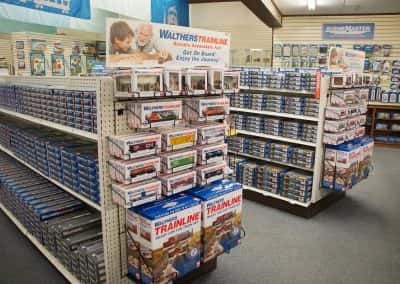 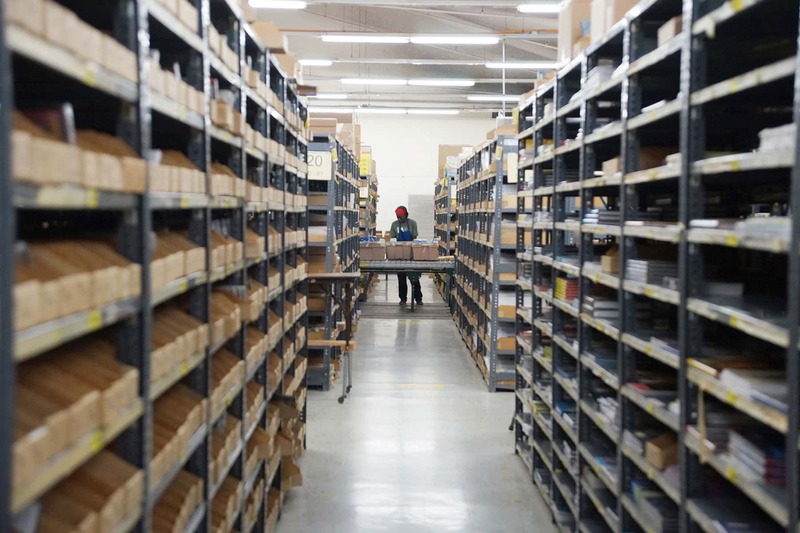 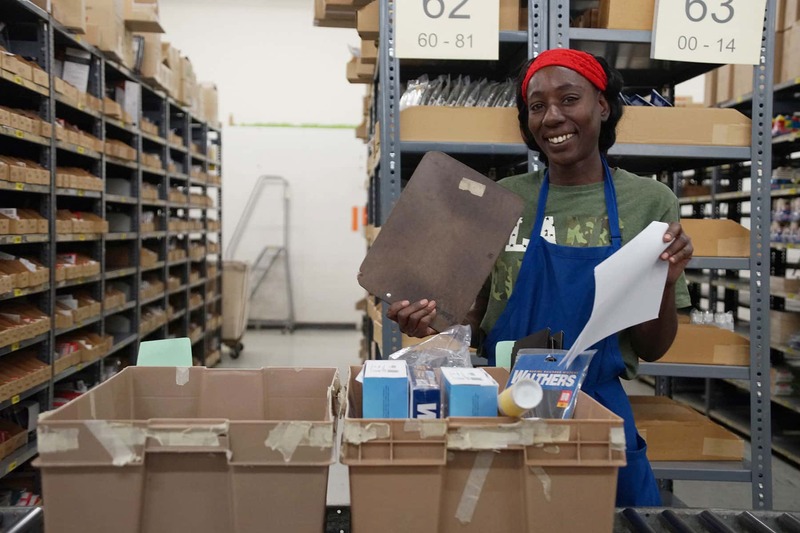 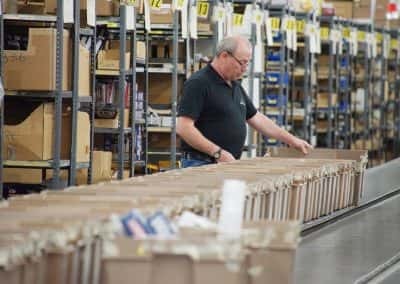 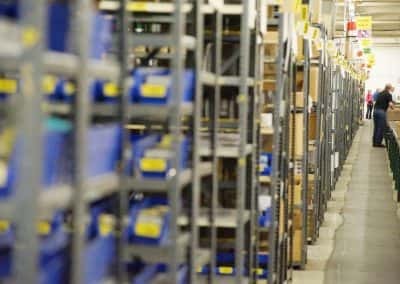 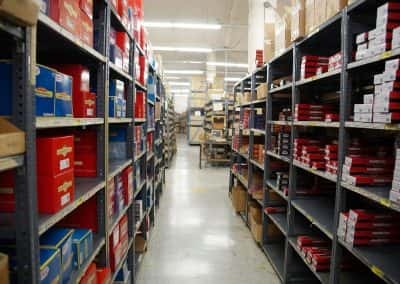 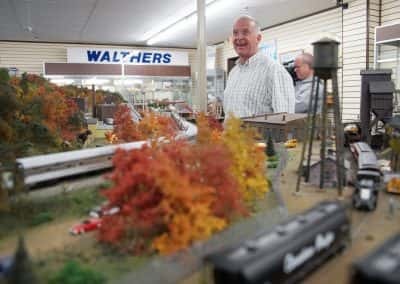 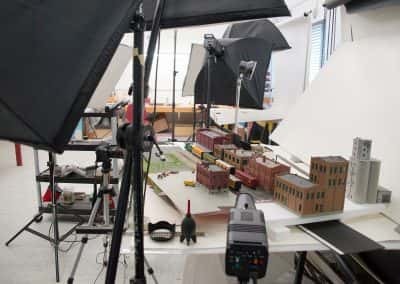 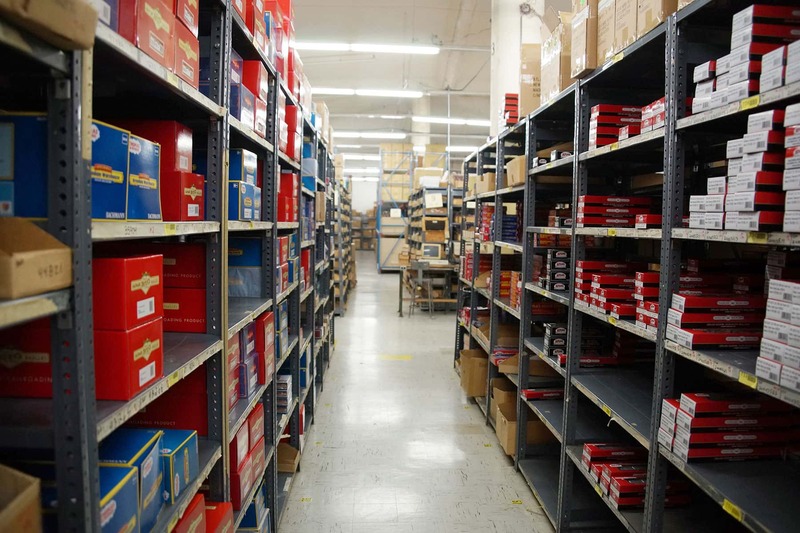 The business supplies loyal hobbyists, especially in Milwaukee, with the materials to create a miniature world for model trains. 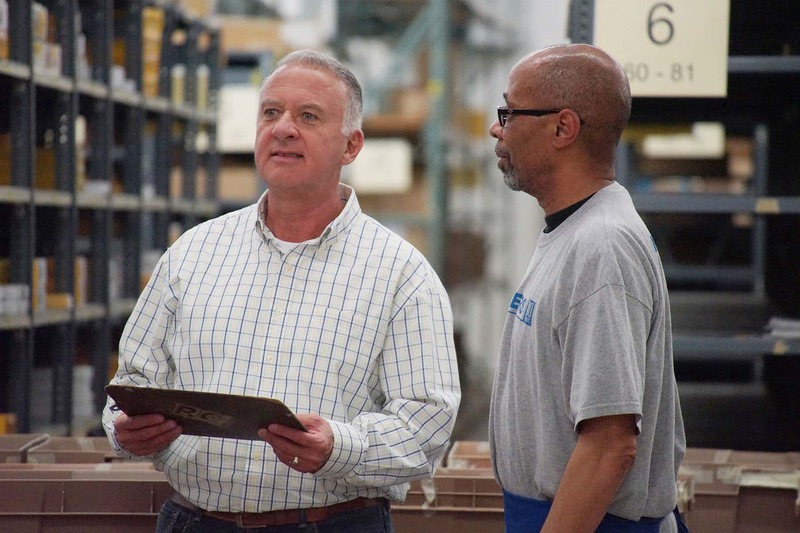 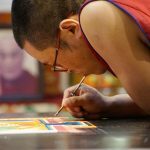 “My grandfather started the company. 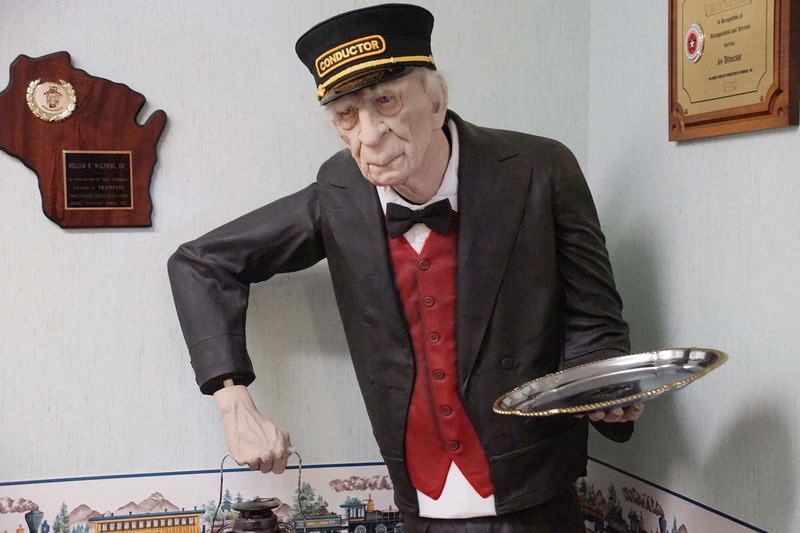 He had a love of trains and was an electrical engineer. 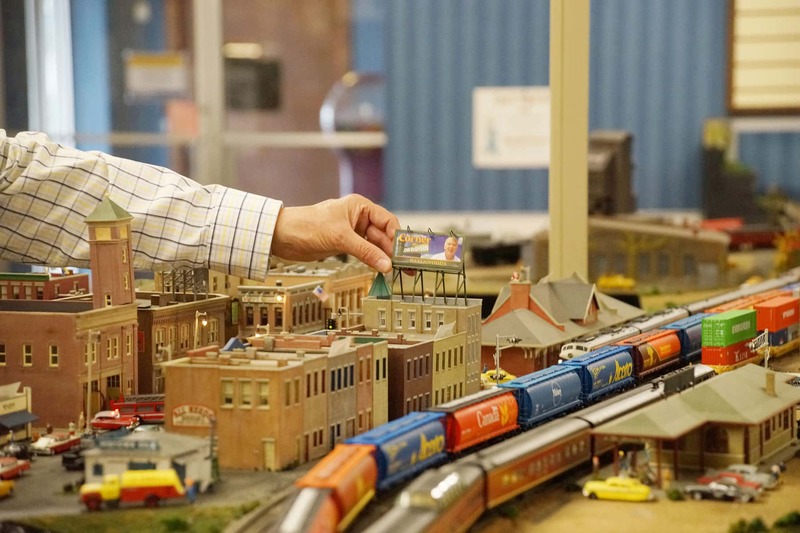 He came up with ideas to control model trains way back in the early 1930s. 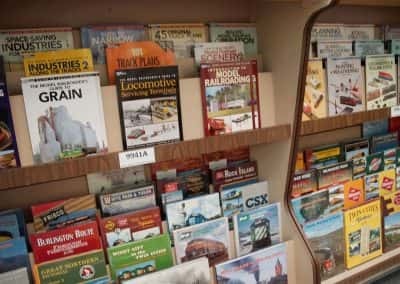 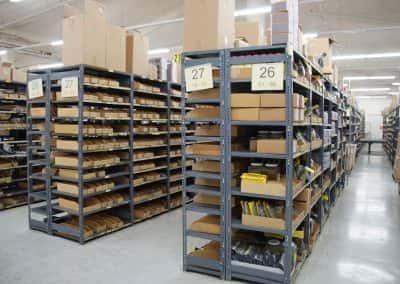 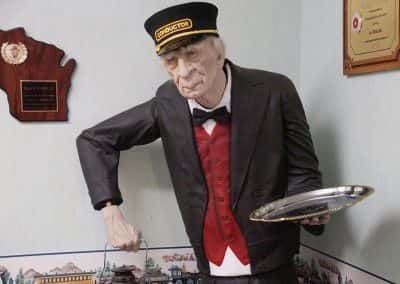 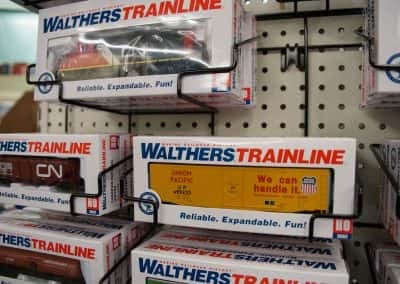 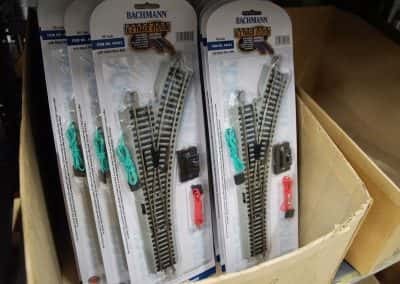 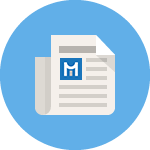 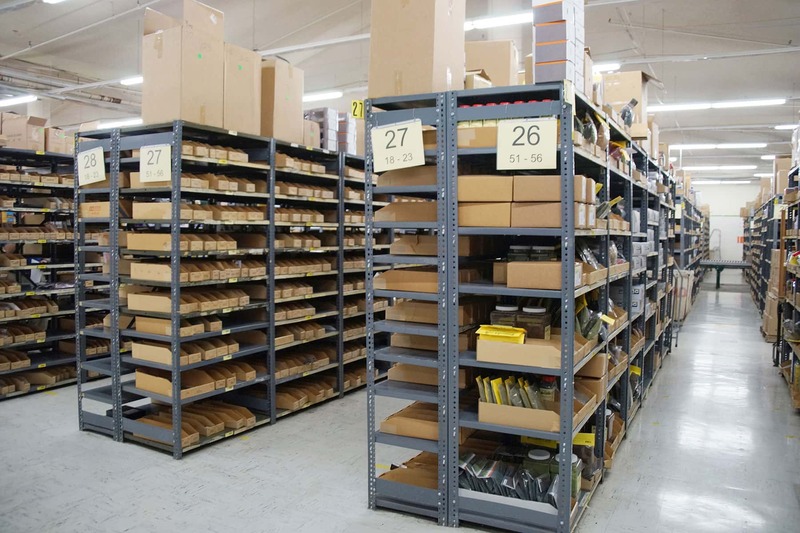 When he started writing a series of articles on building train control and signaling systems, he got so many letters from other modelers that he began manufacturing parts and selling them. 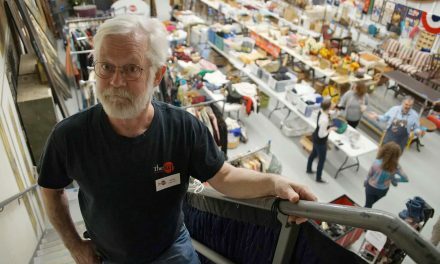 Basically he started the business in his basement. 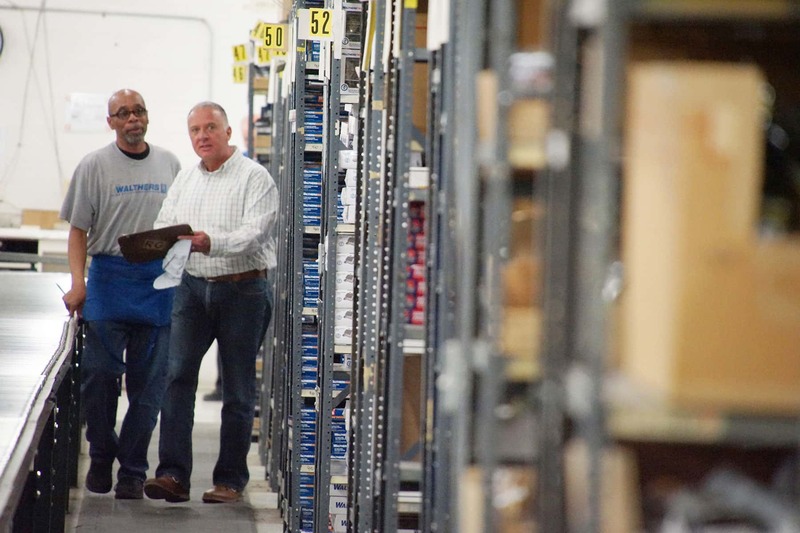 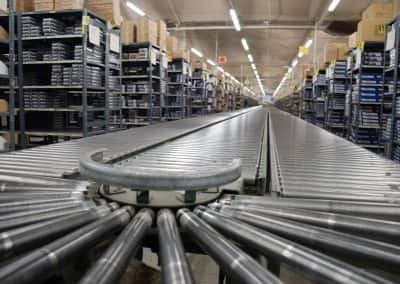 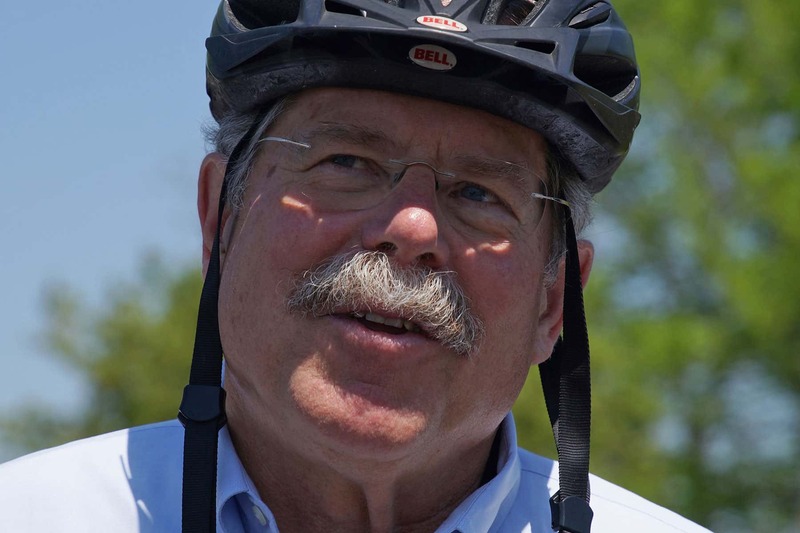 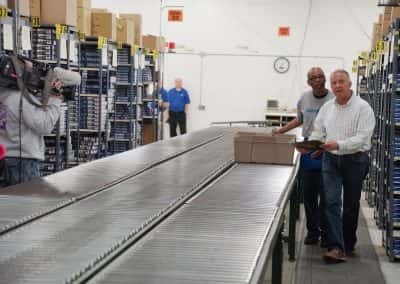 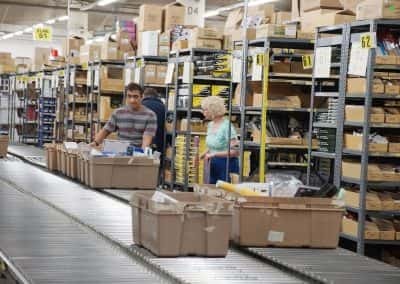 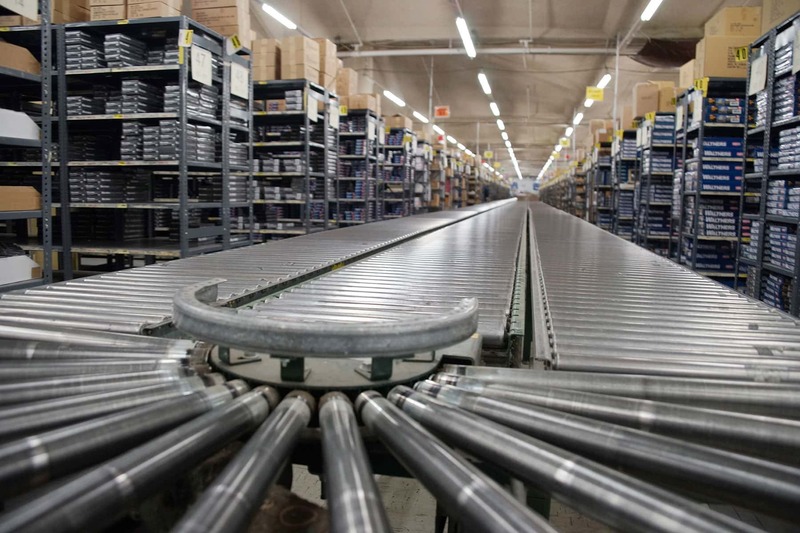 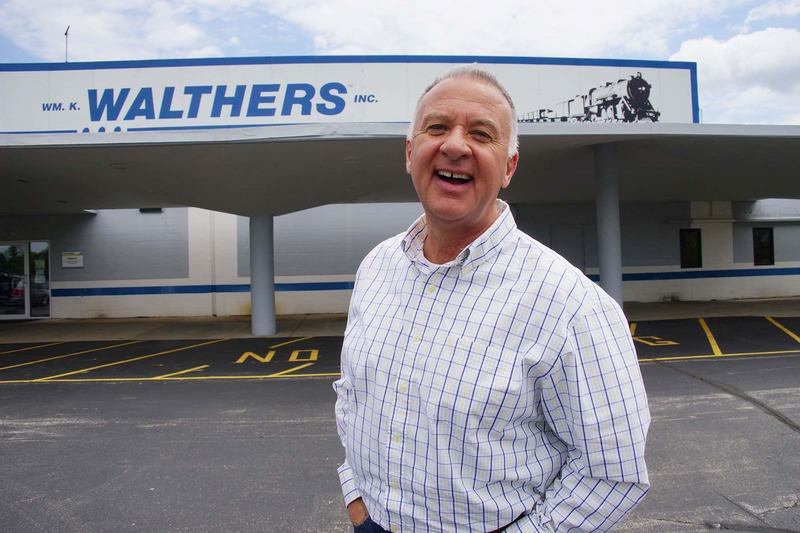 Eventually the company moved to Erie Street, then to the corner of Juneau Avenue and Water Street, then 34th Street, and finally its home at Havenwoods in 1977.” – Phil Walthers, third generation owner of Wm. 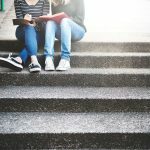 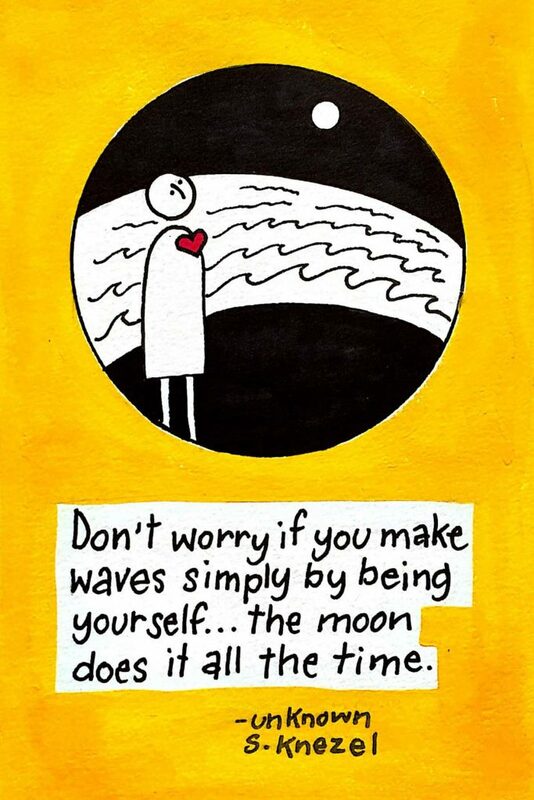 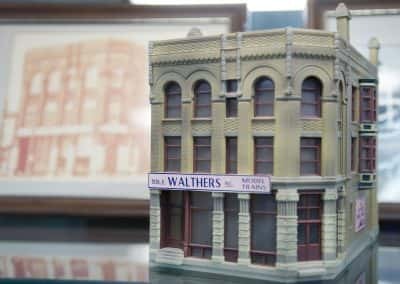 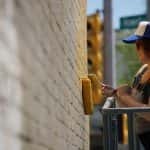 K. Walthers, Inc.